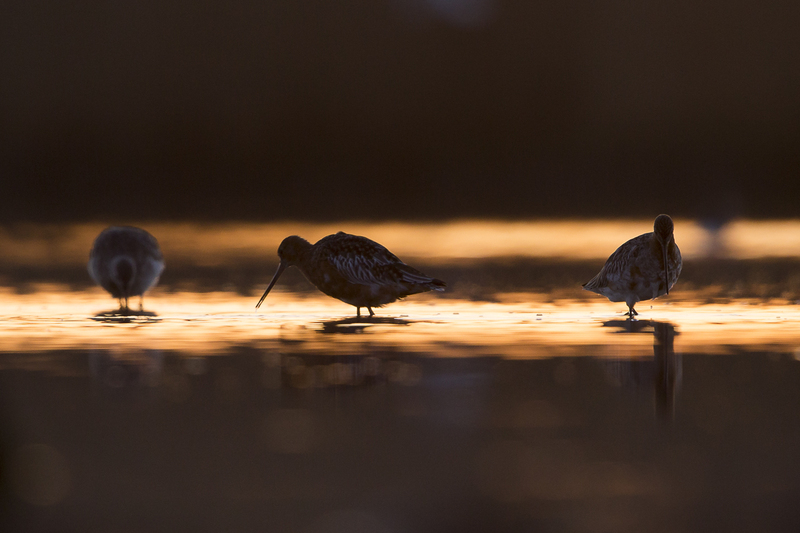 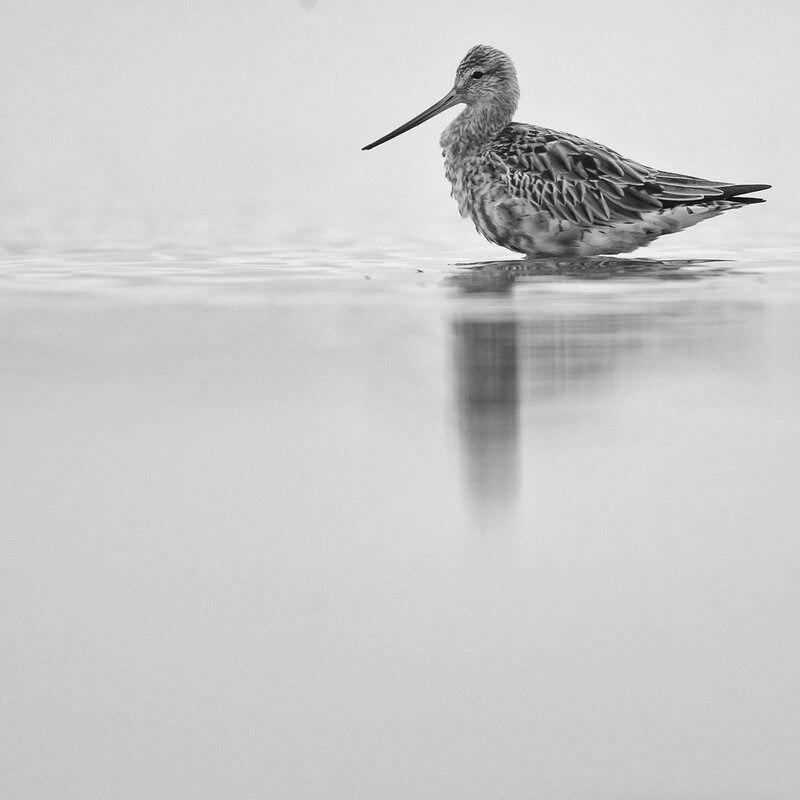 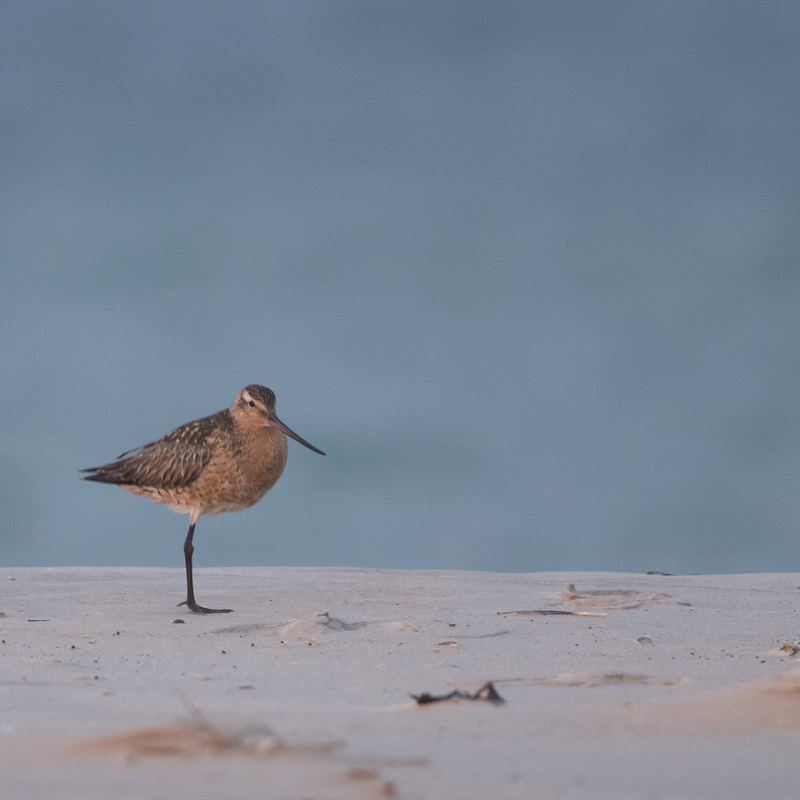 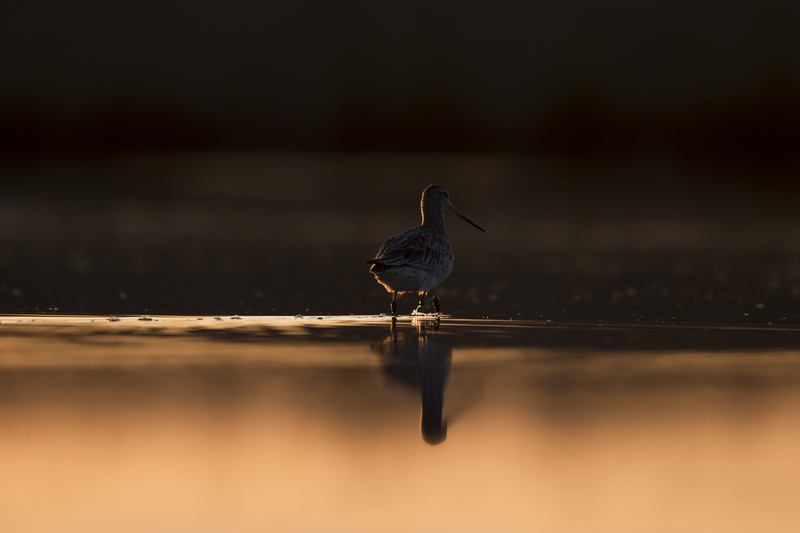 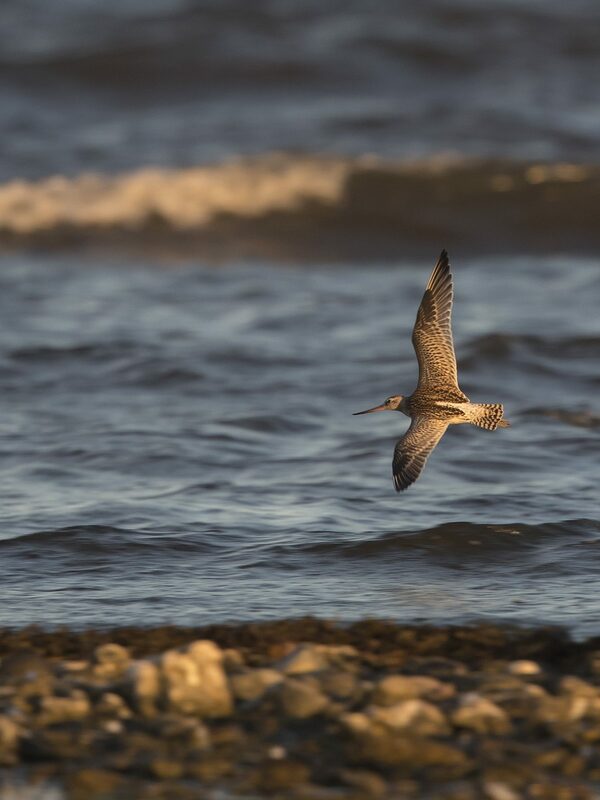 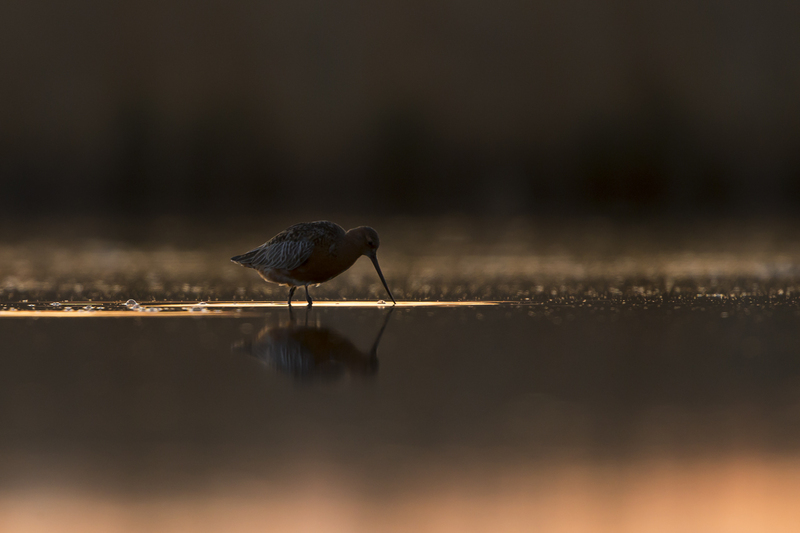 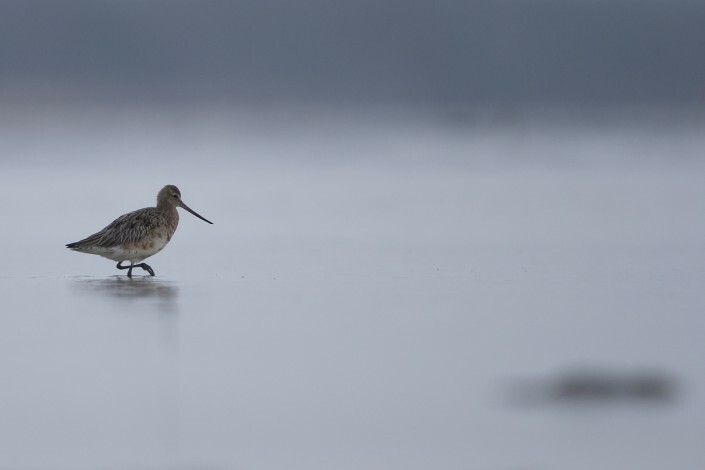 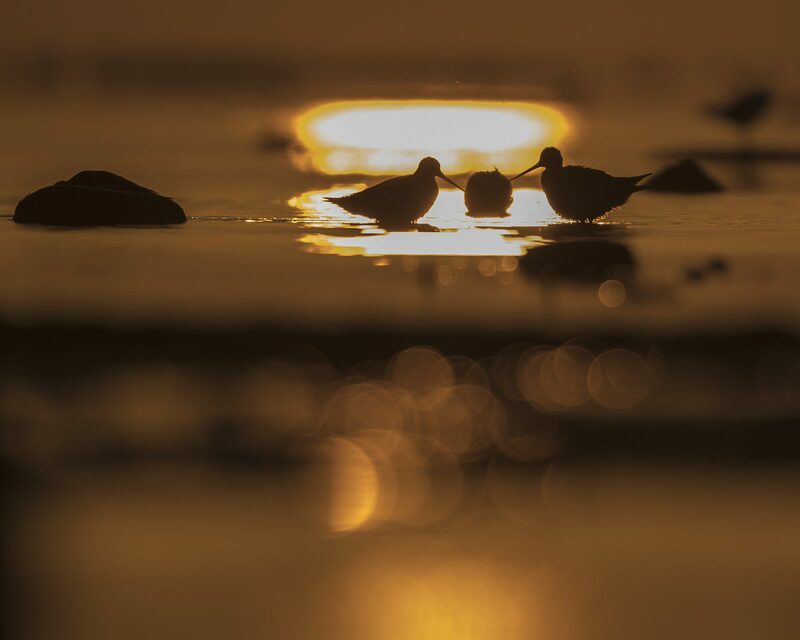 is a relatively short-legged species of godwit. The bill-to-tail length is 37–41 cm (15–16 in), with a wingspan of 70–80 cm (28–31 in). 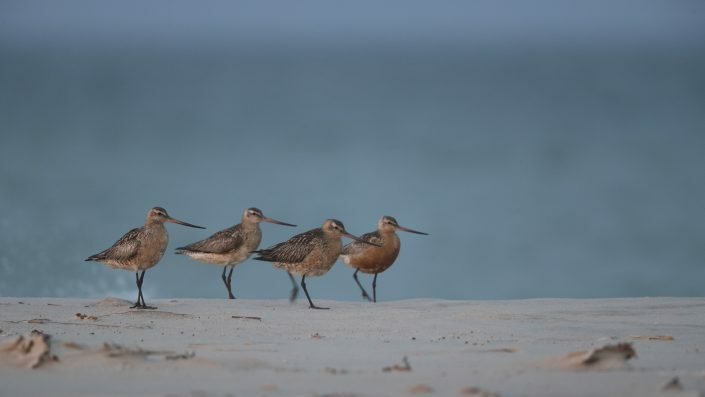 Males average smaller than females but with much overlap; males weigh 190–400 g (6.7–14.1 oz), while females weigh 260–630 g (9.2–22.2 oz); there is also some regional variation in size (see subspecies, below). 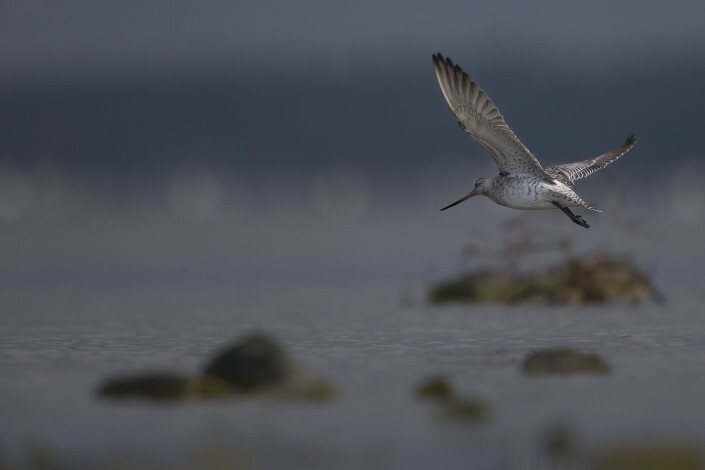 The adult has blue-grey legs and a very long dark bill with a slight upward curve and pink at the tip. 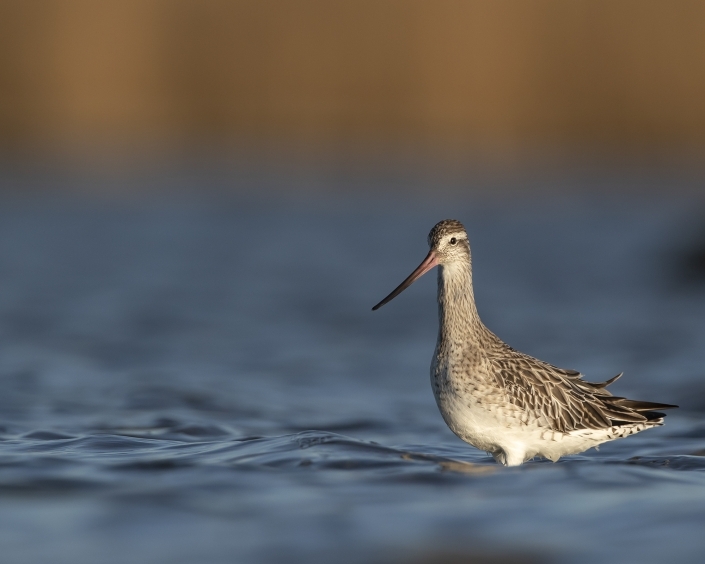 The neck, breast and belly are unbroken brick red in breeding plumage, off white in winter. The back is mottled grey. 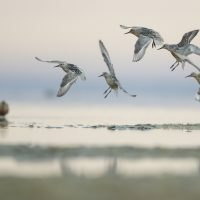 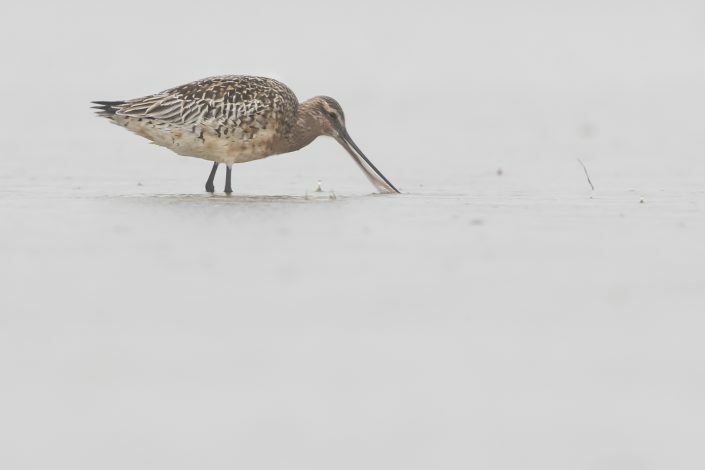 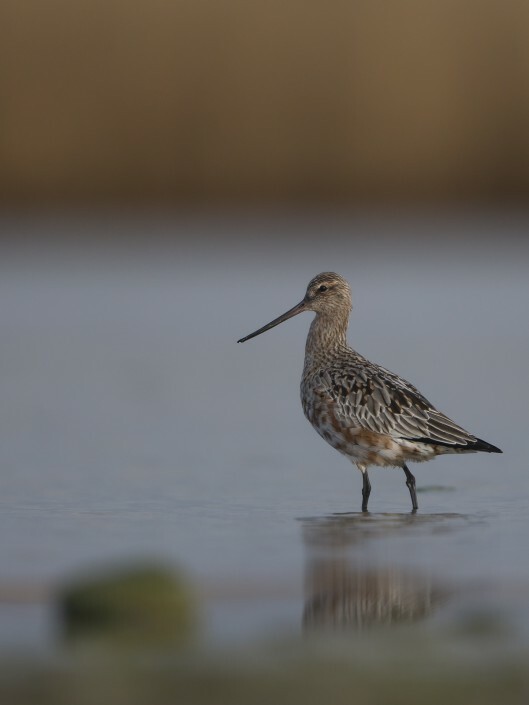 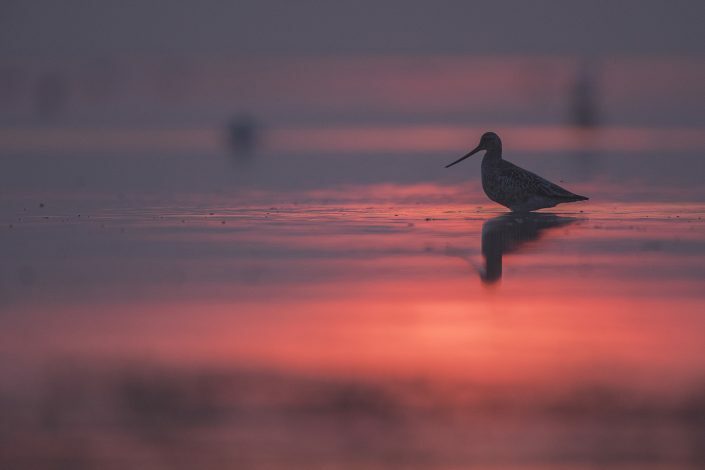 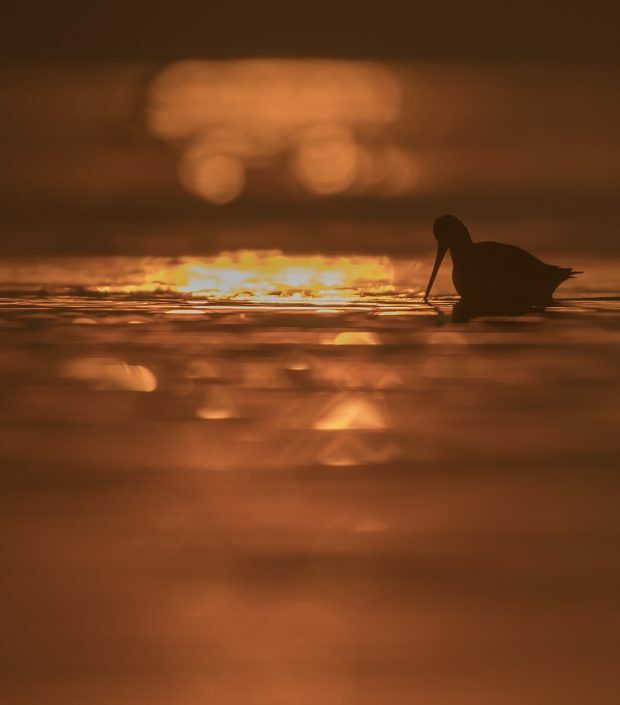 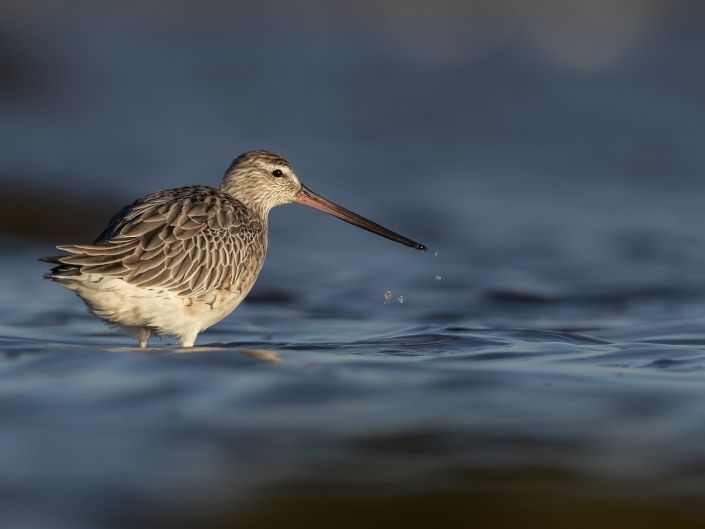 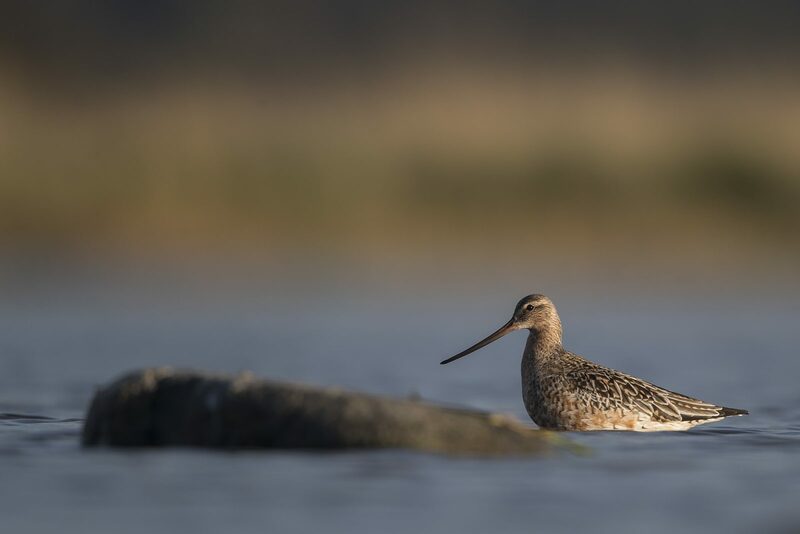 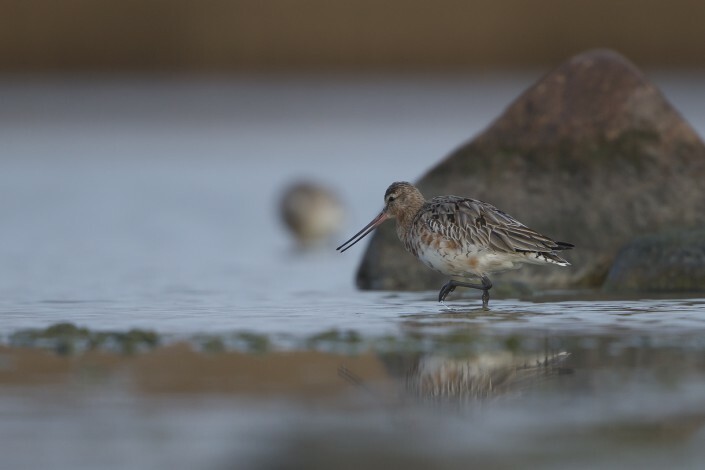 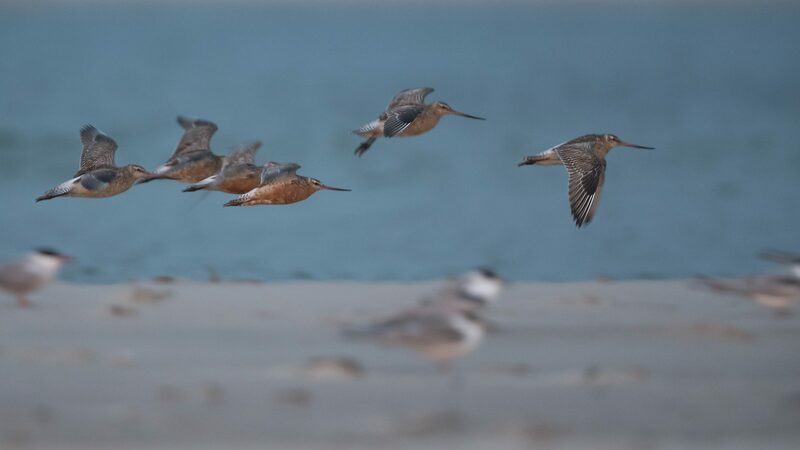 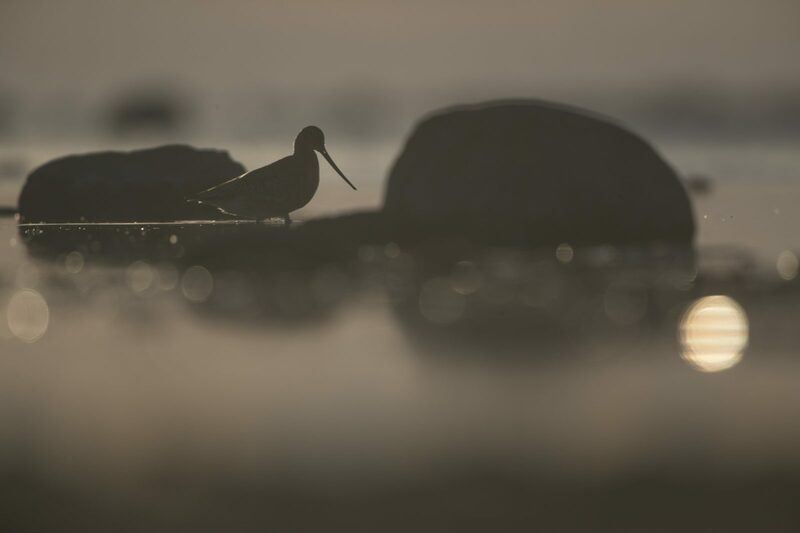 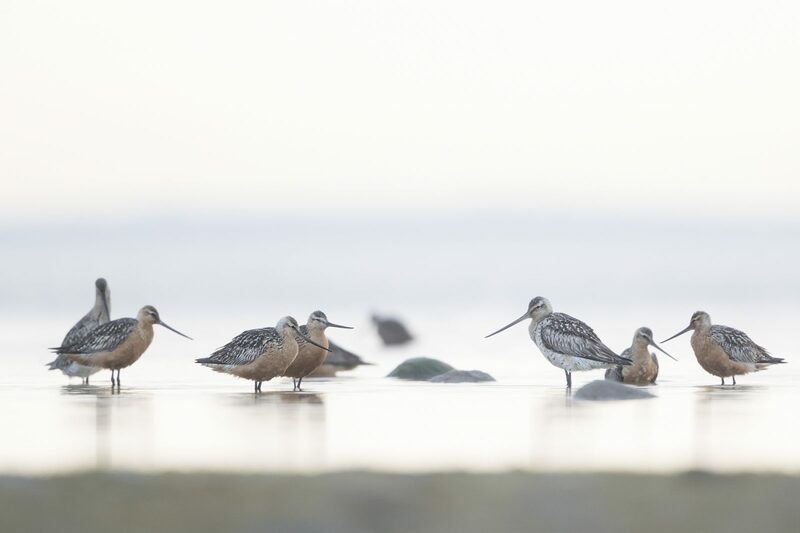 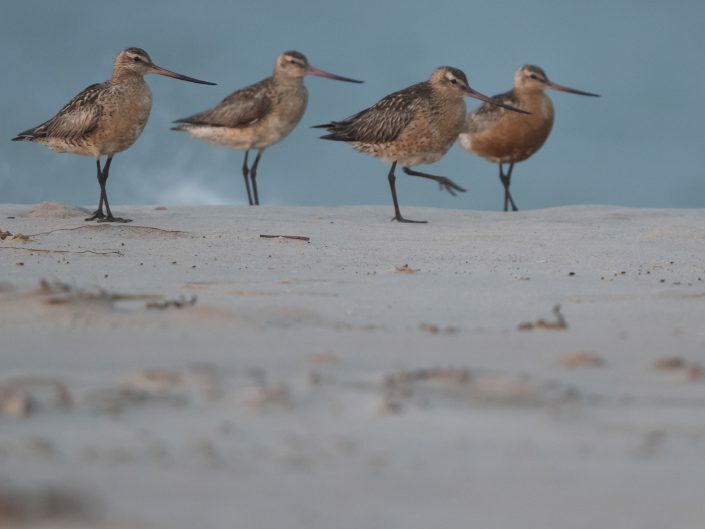 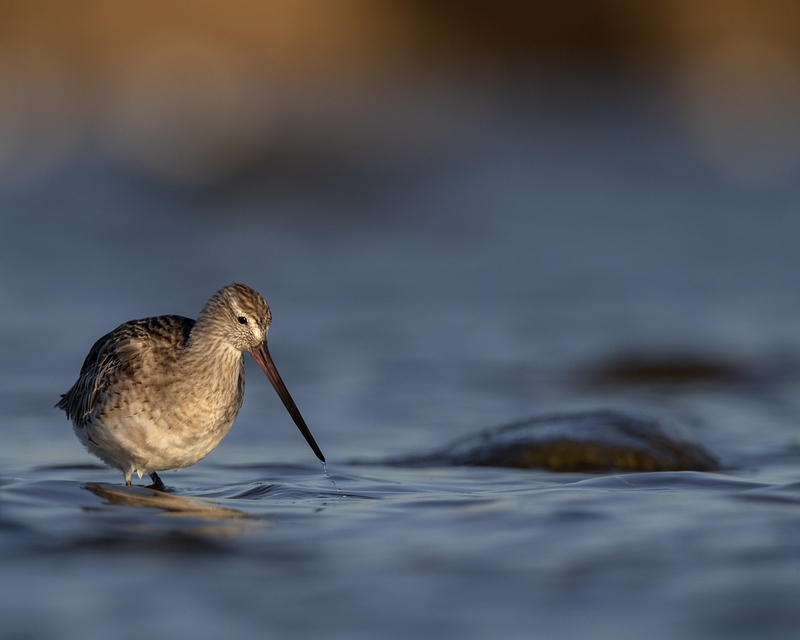 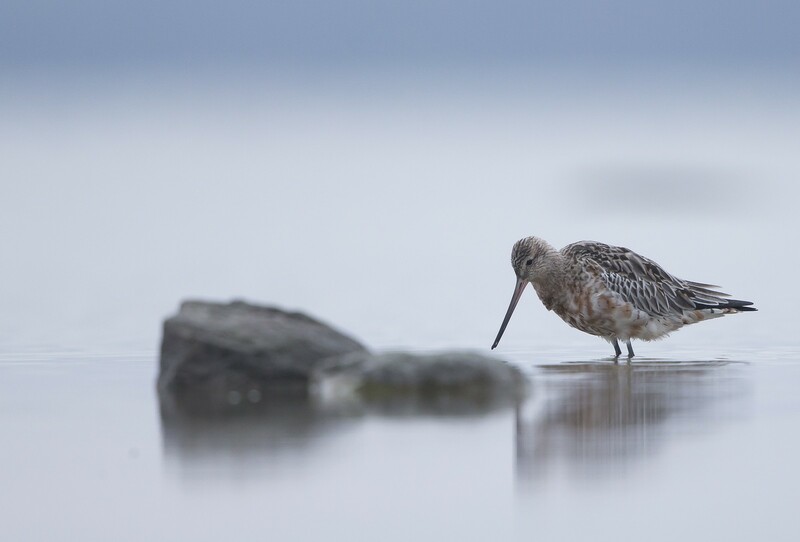 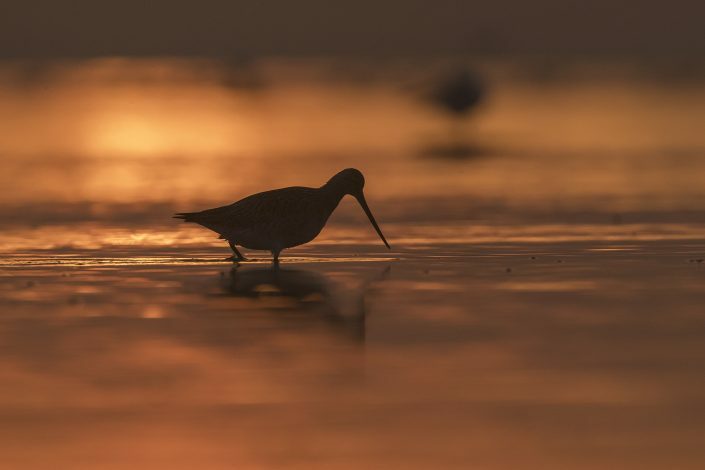 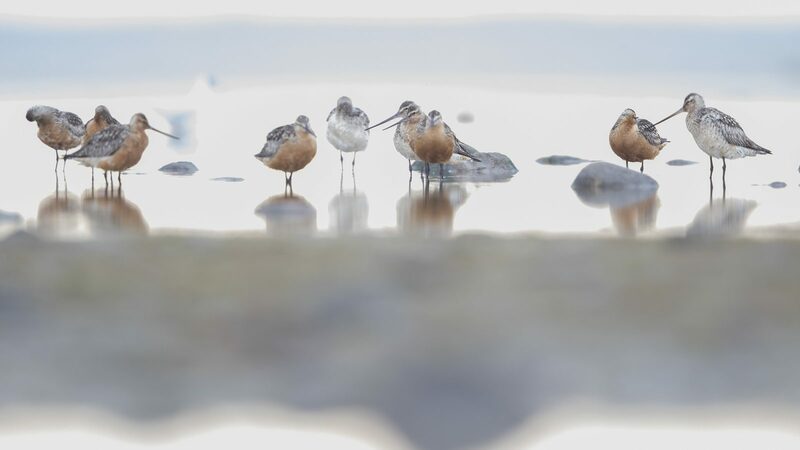 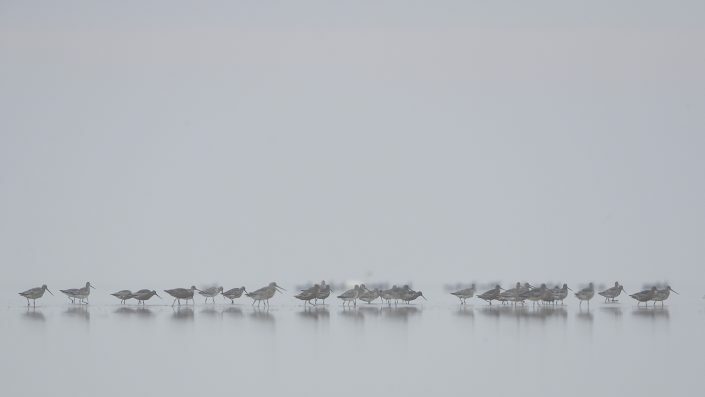 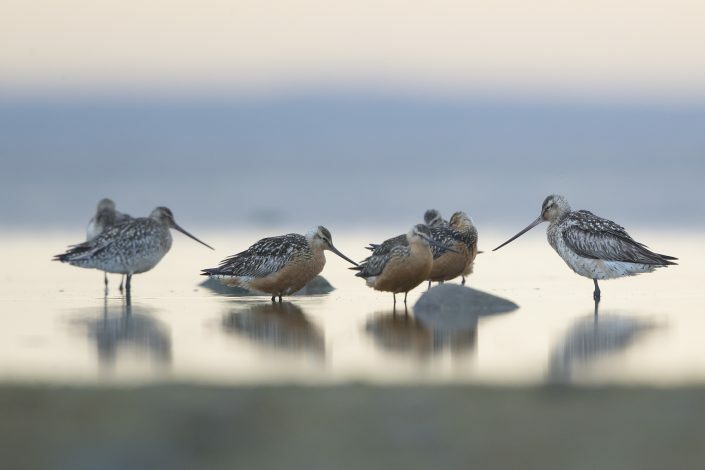 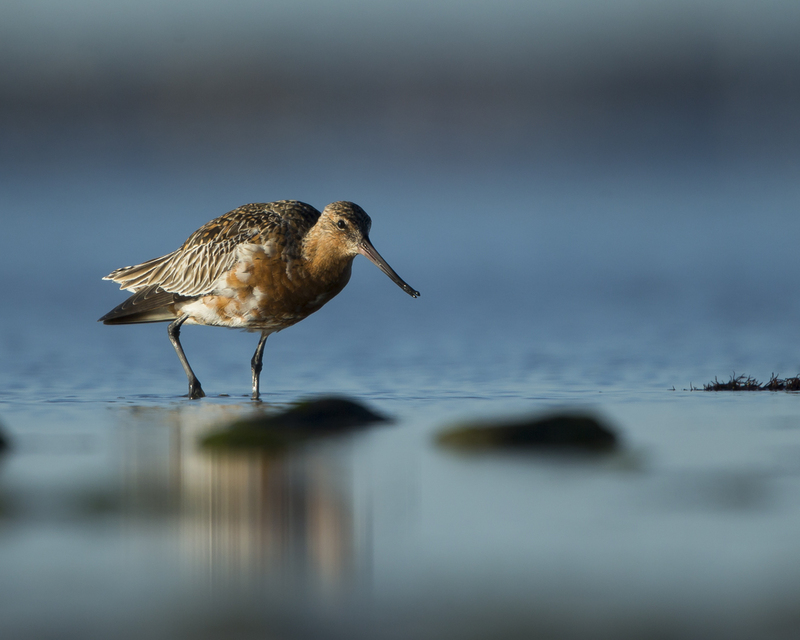 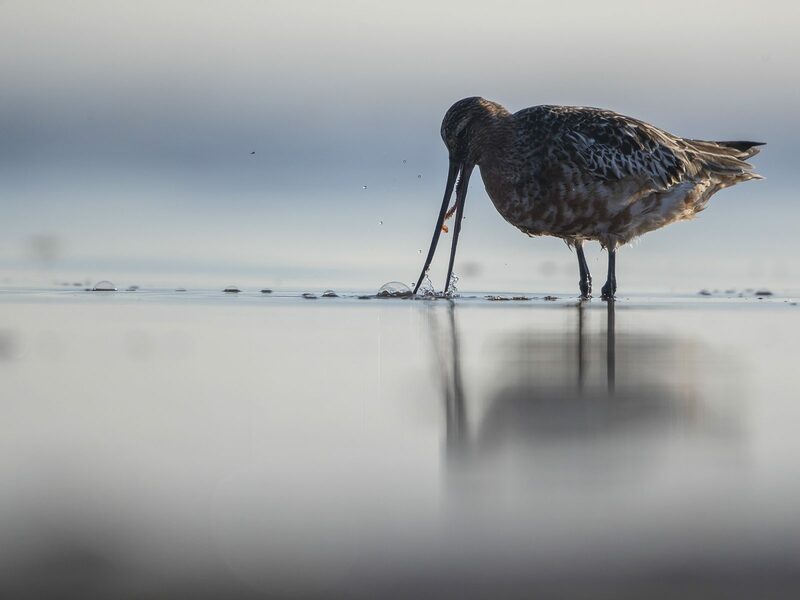 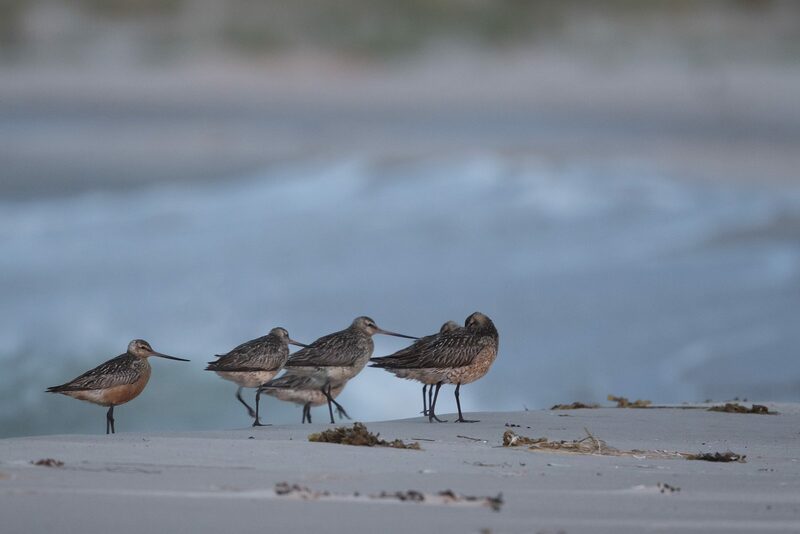 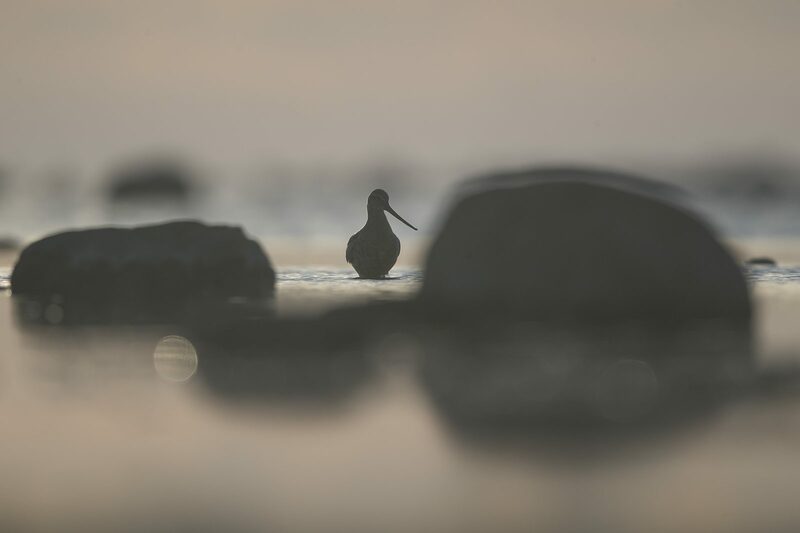 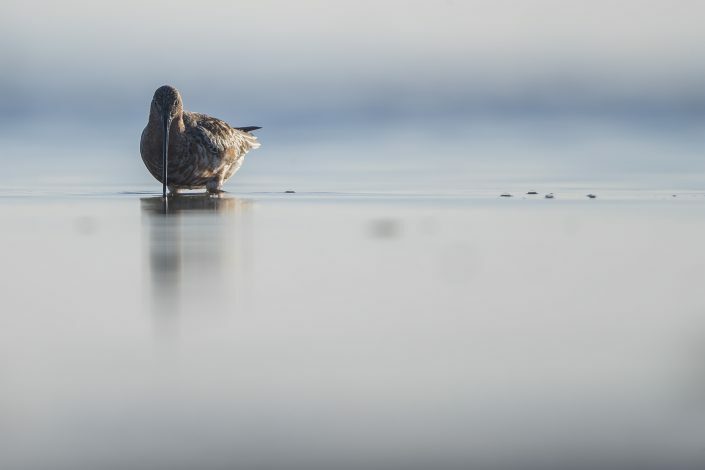 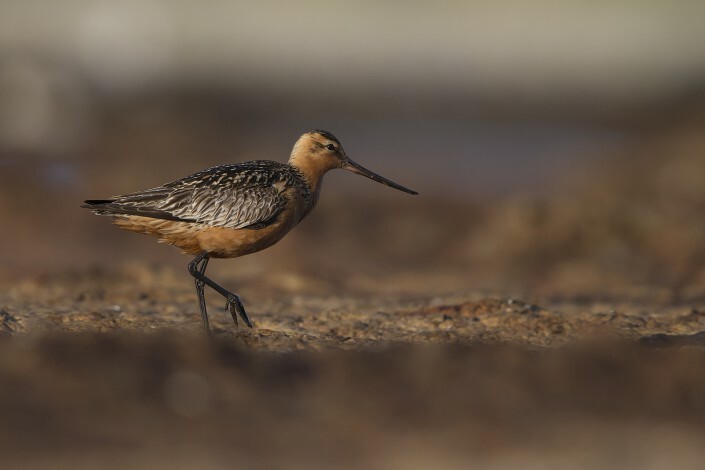 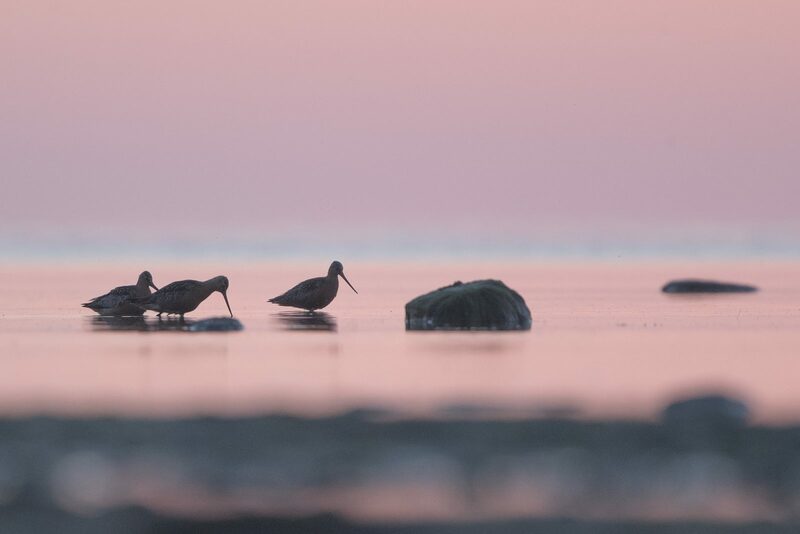 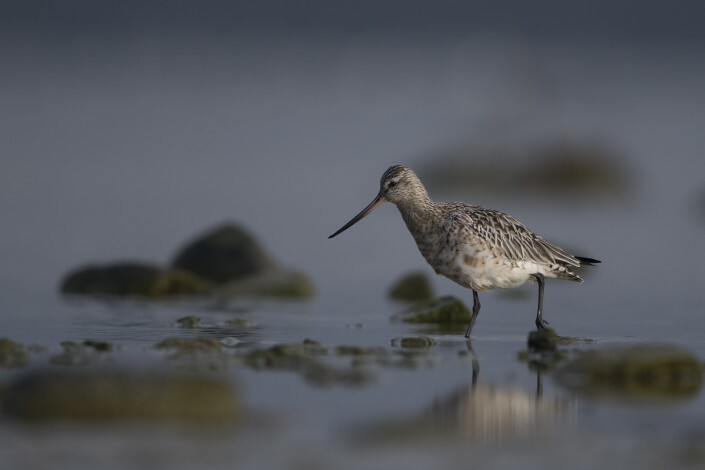 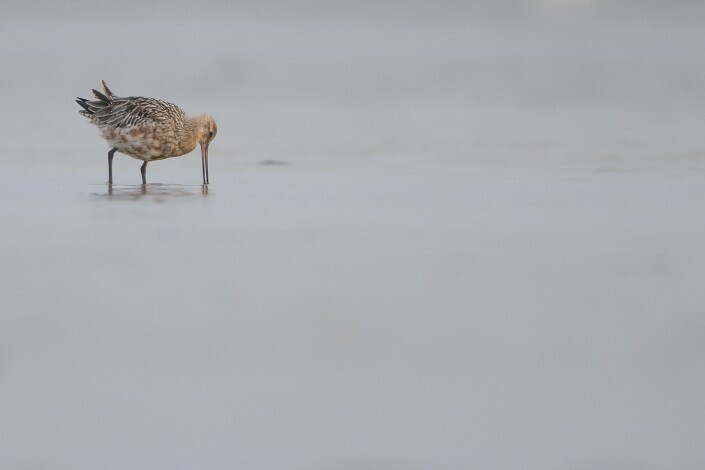 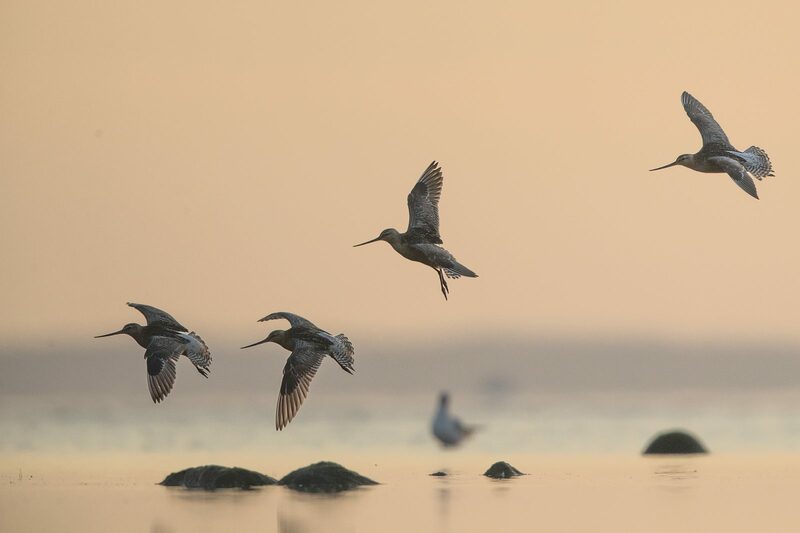 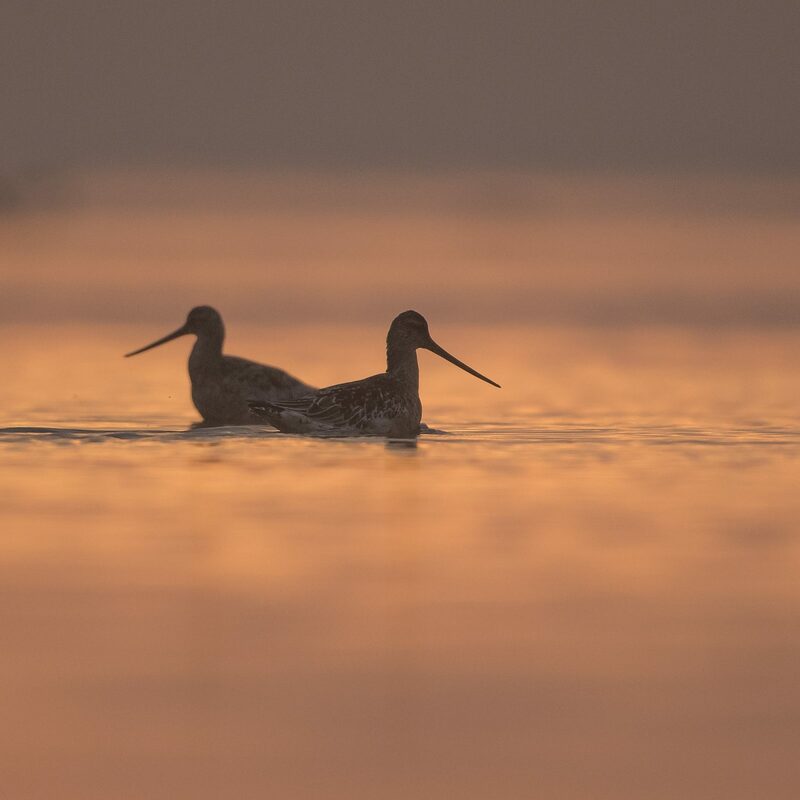 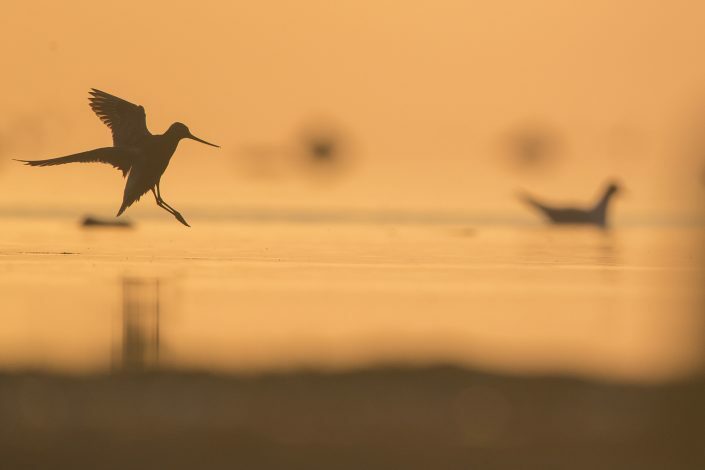 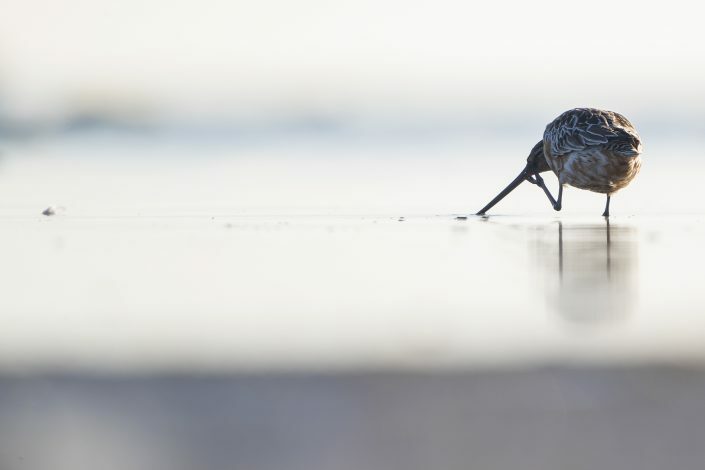 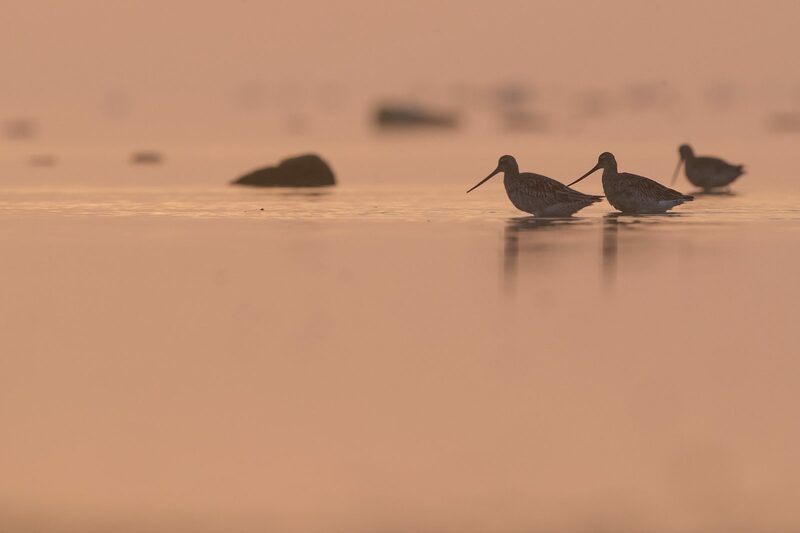 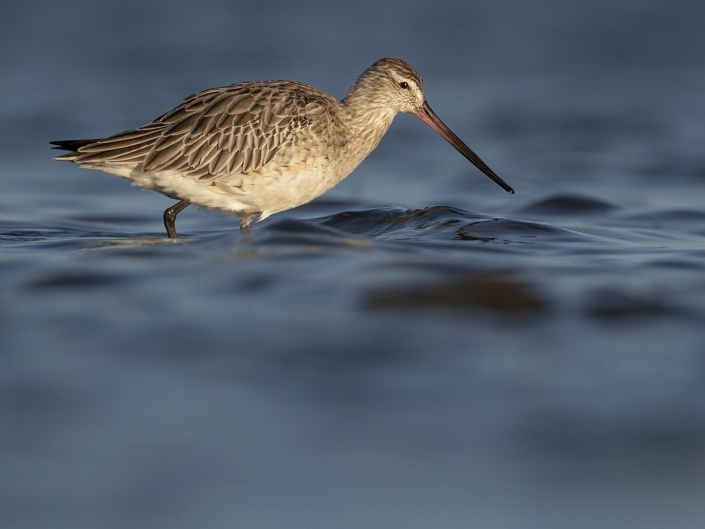 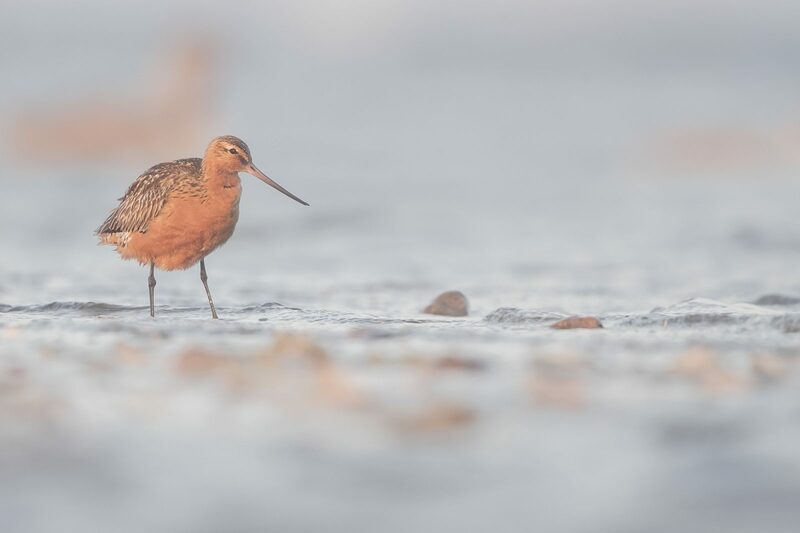 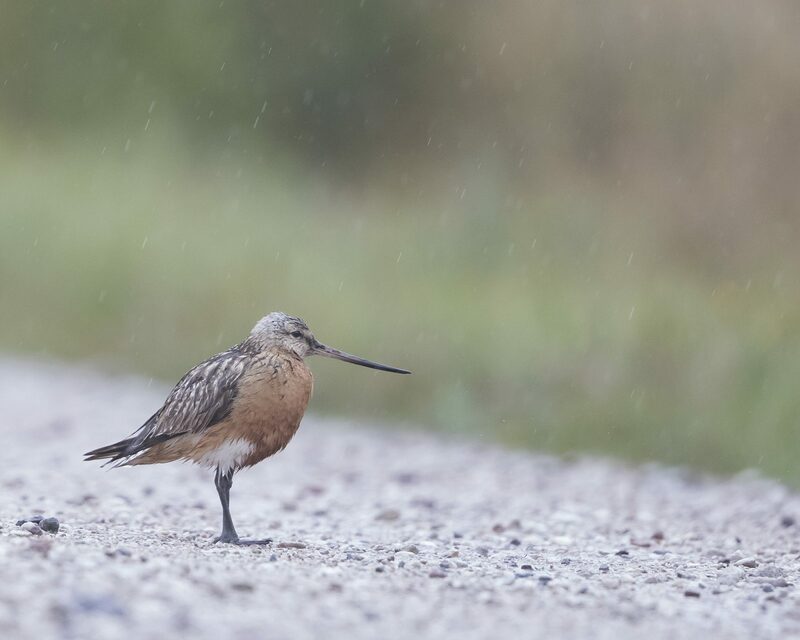 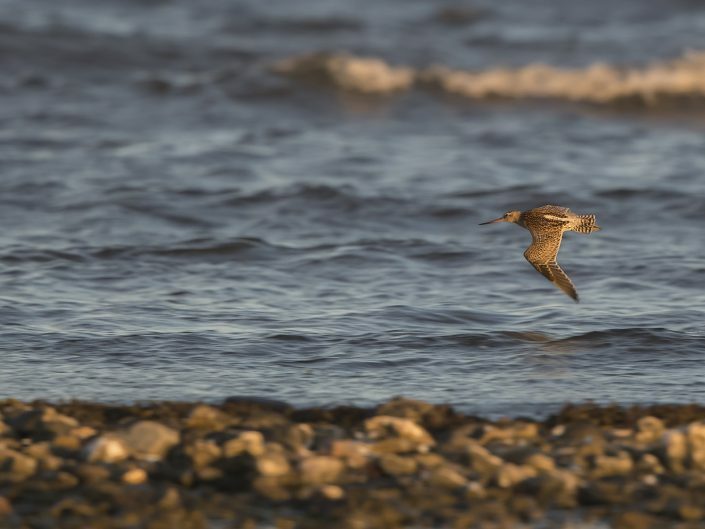 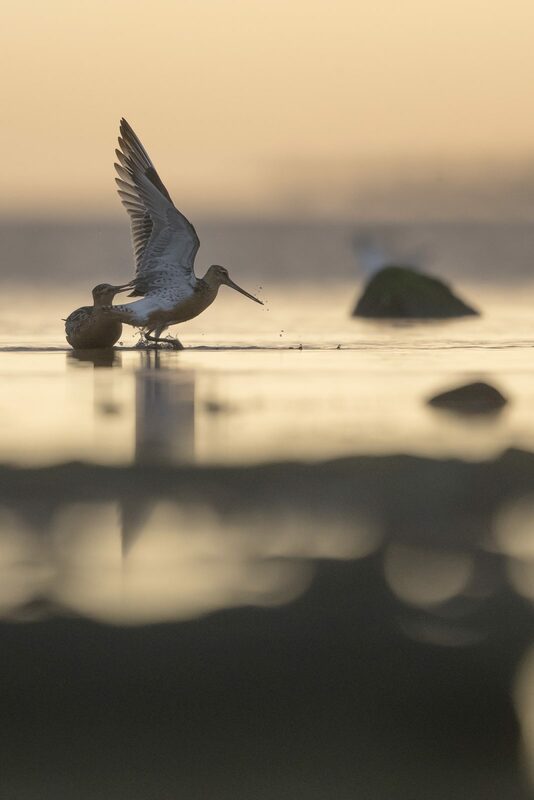 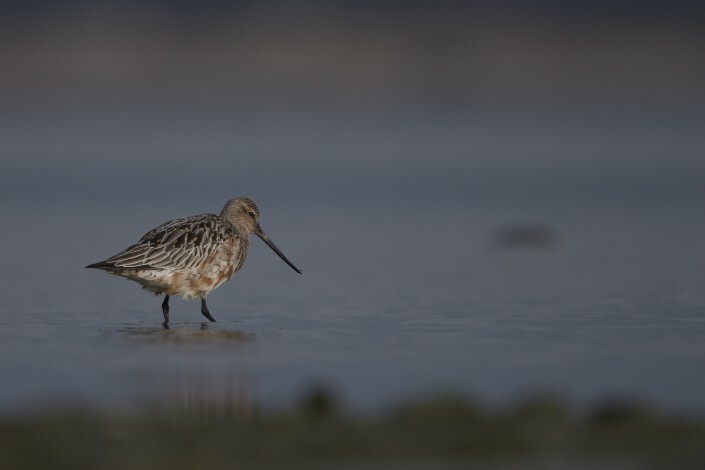 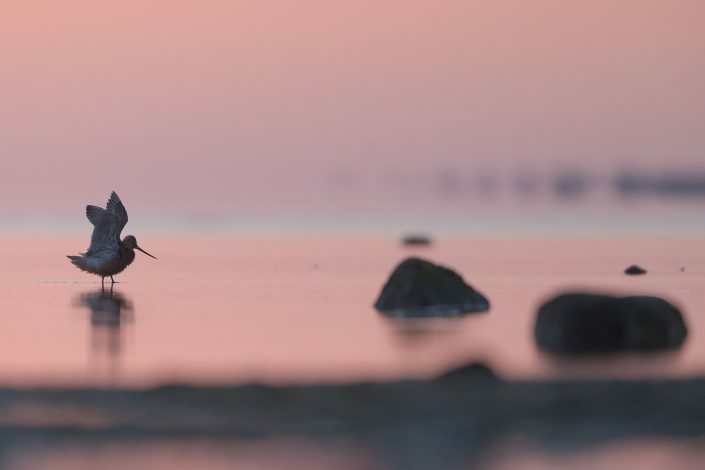 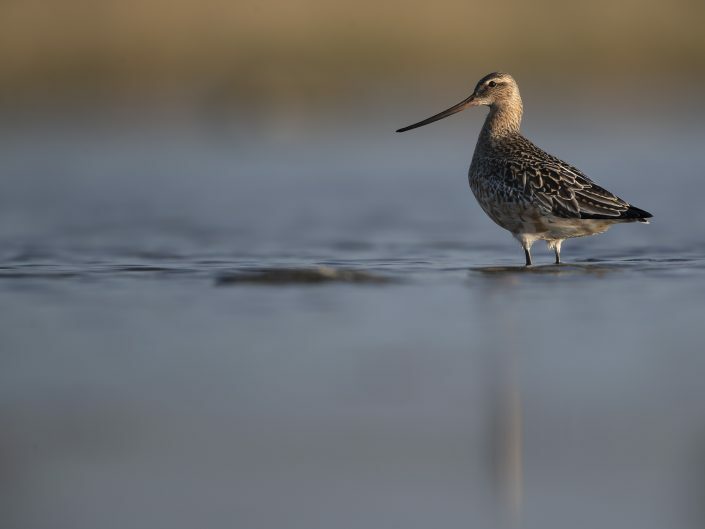 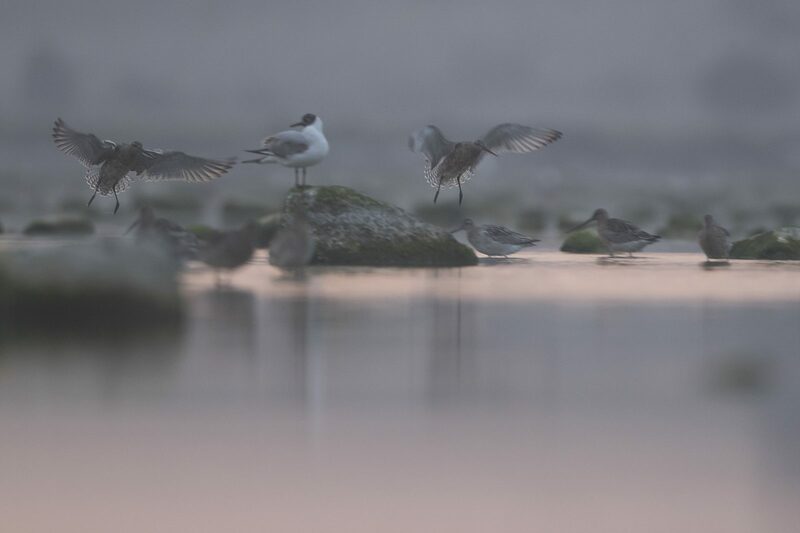 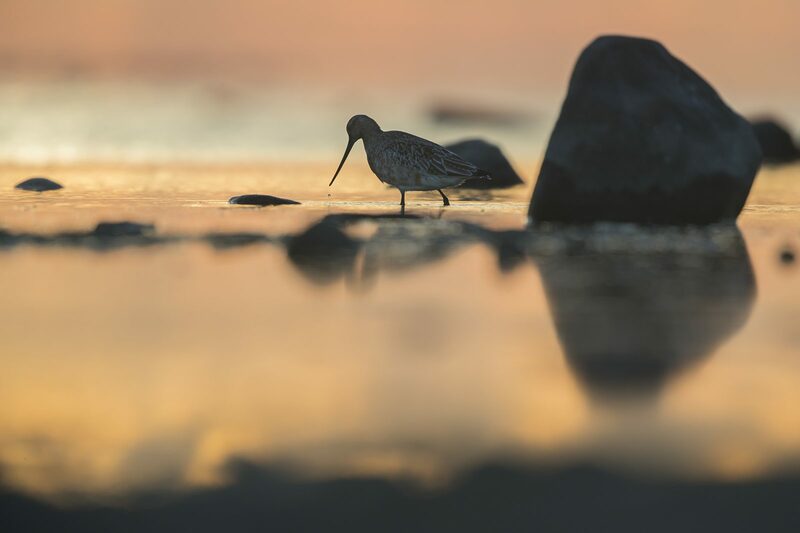 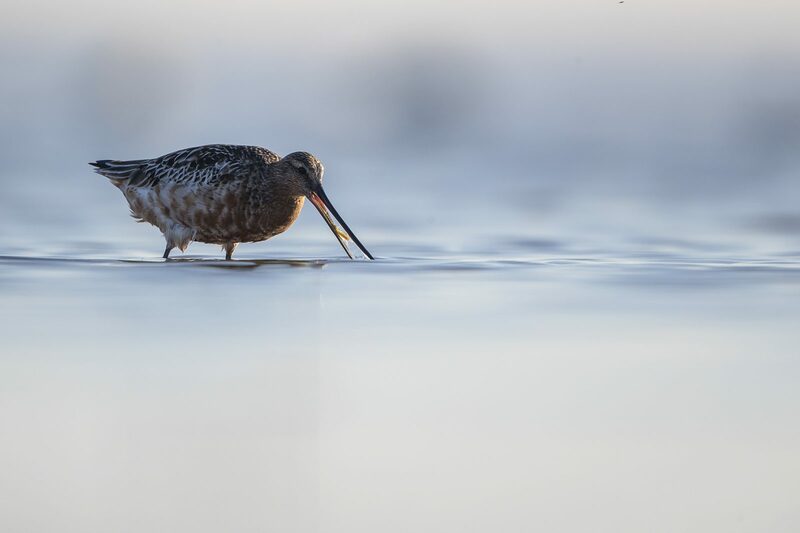 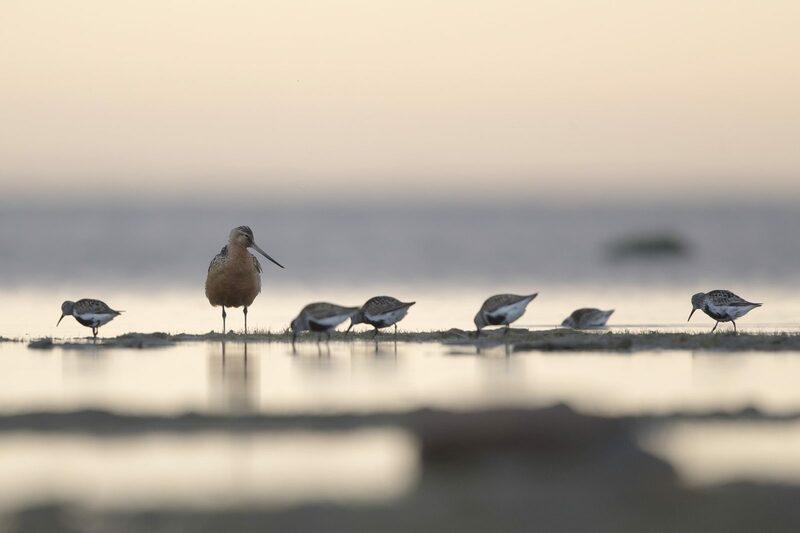 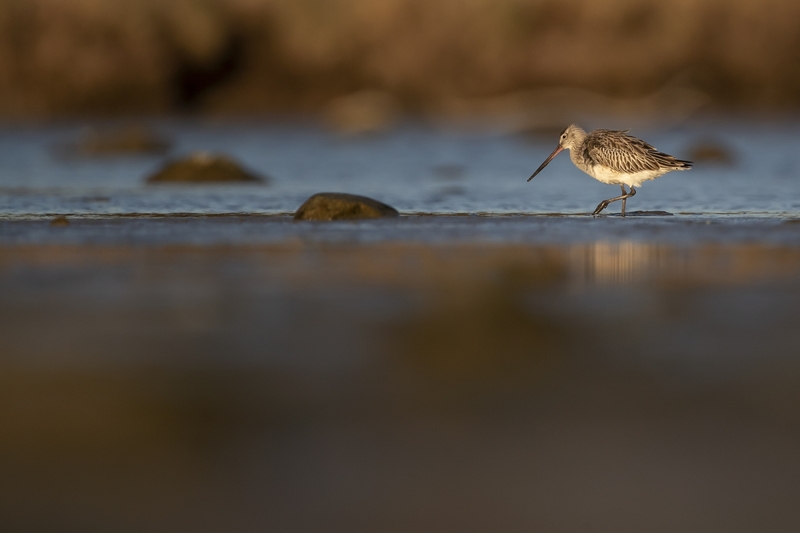 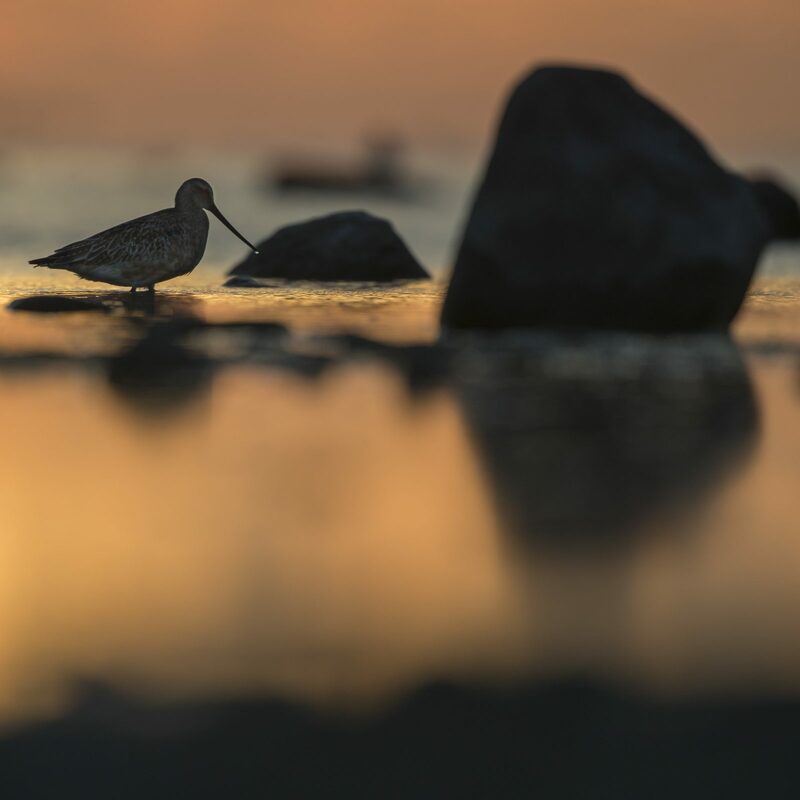 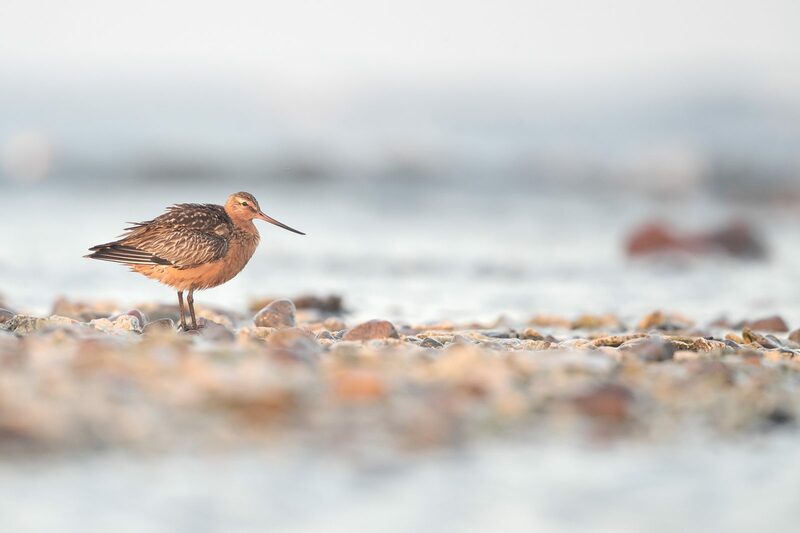 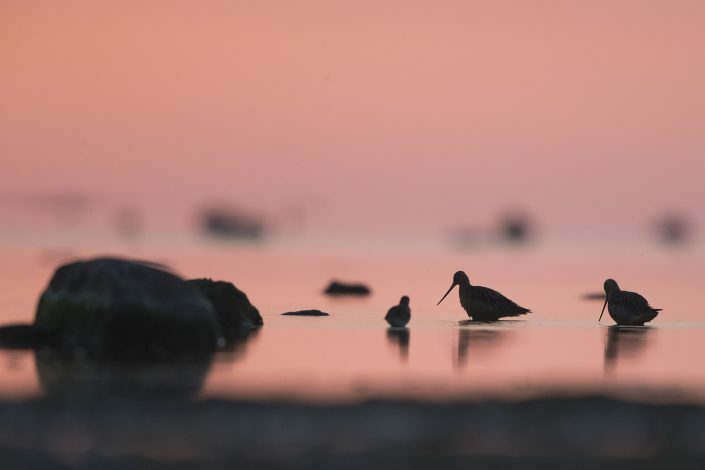 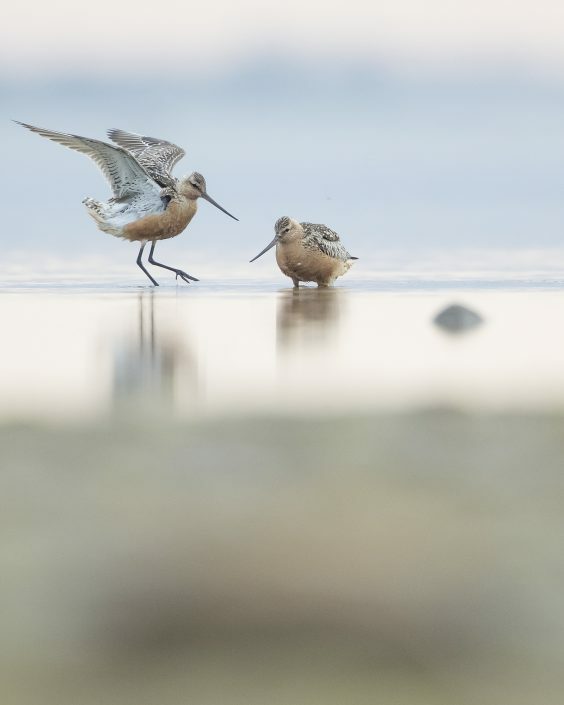 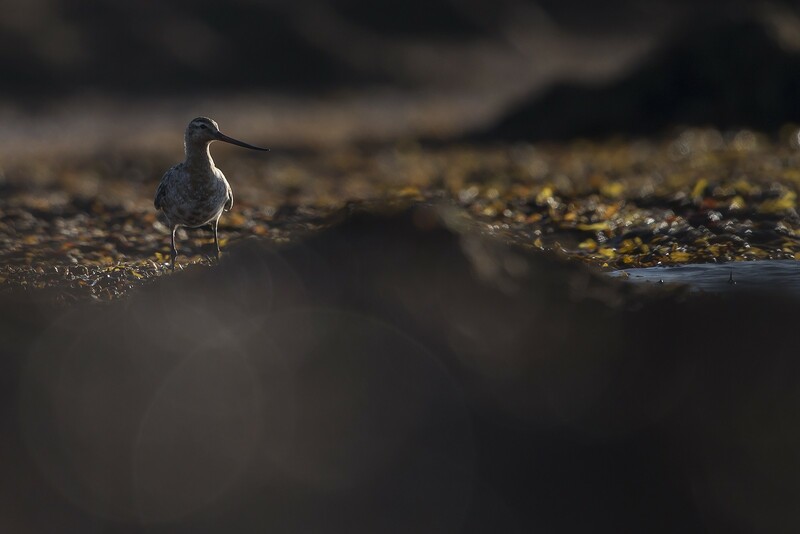 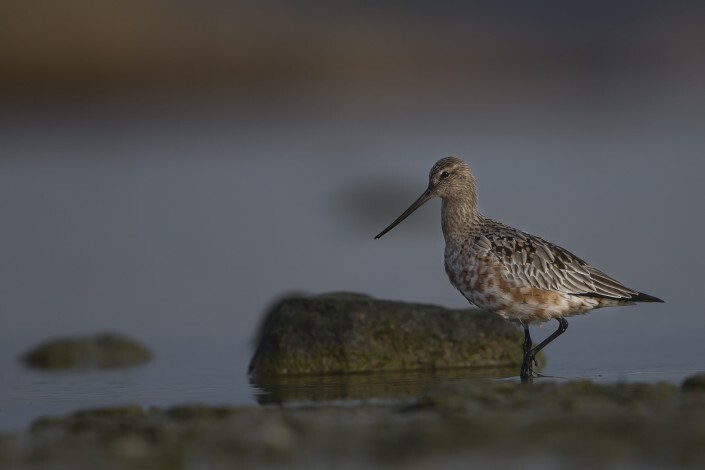 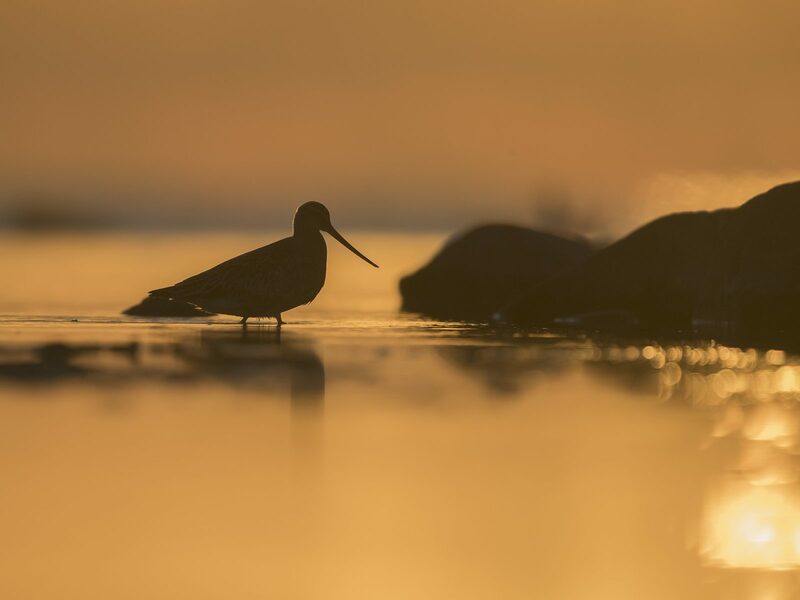 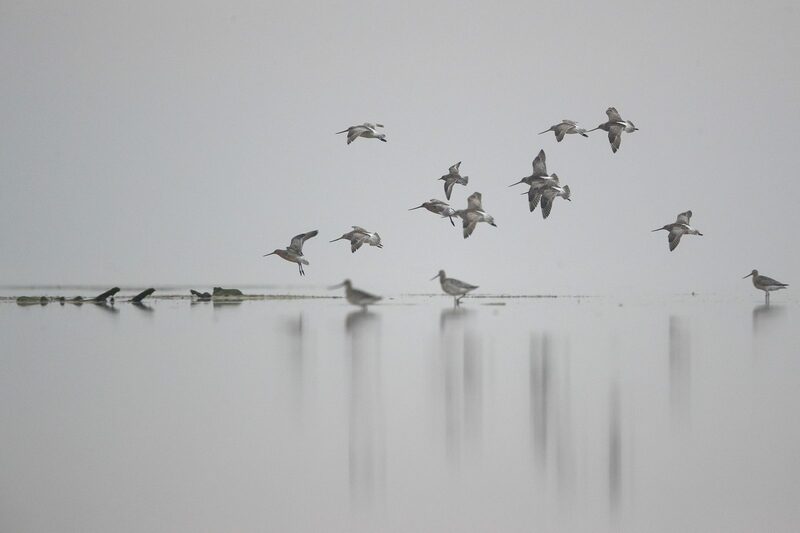 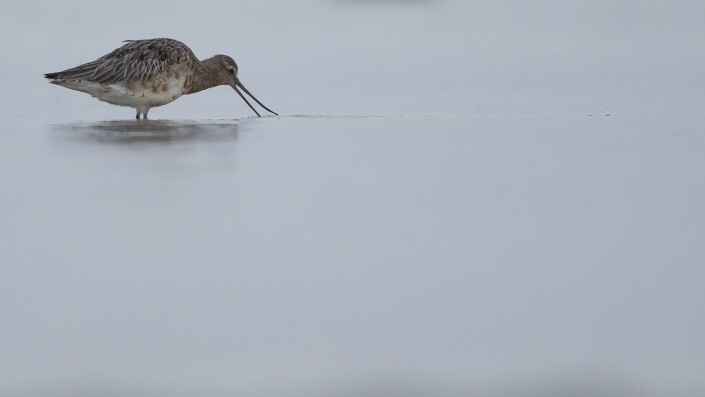 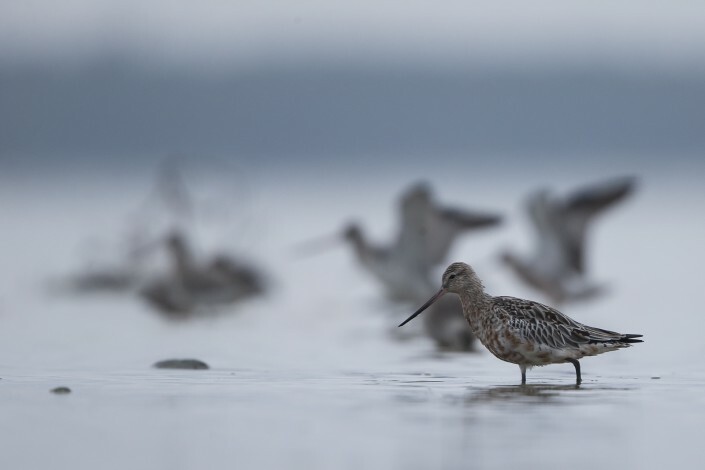 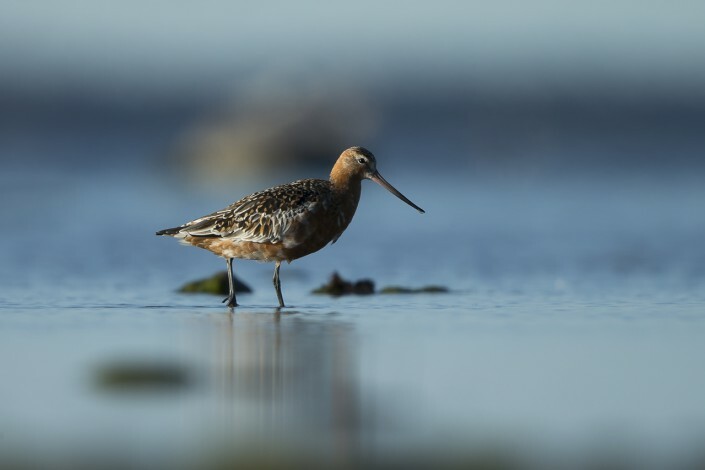 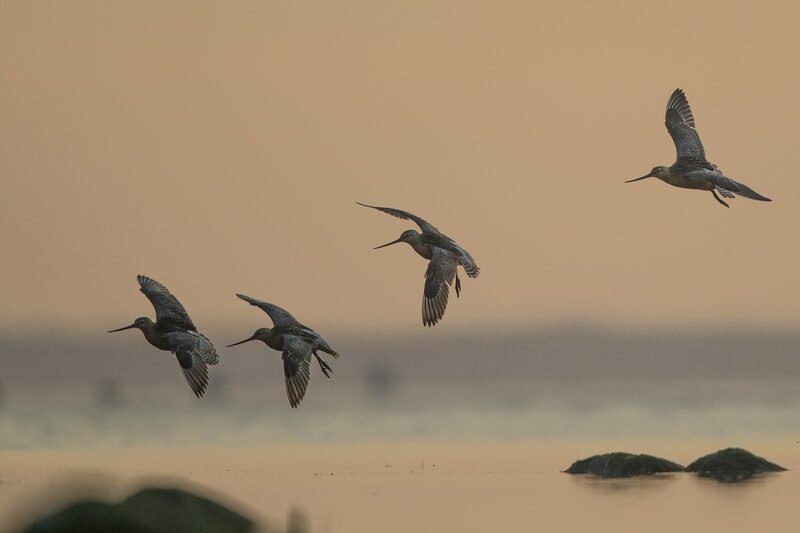 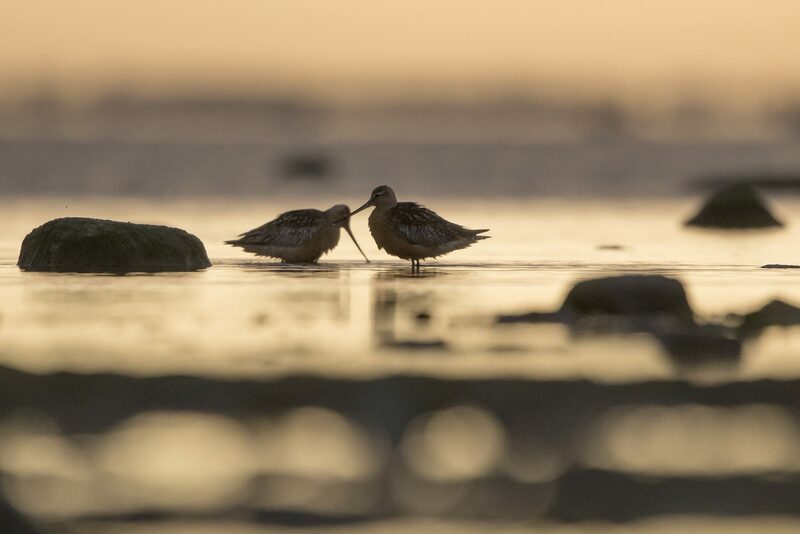 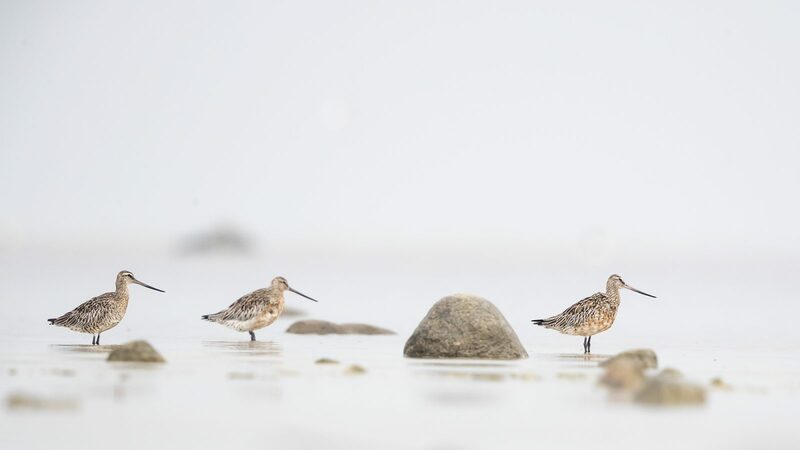 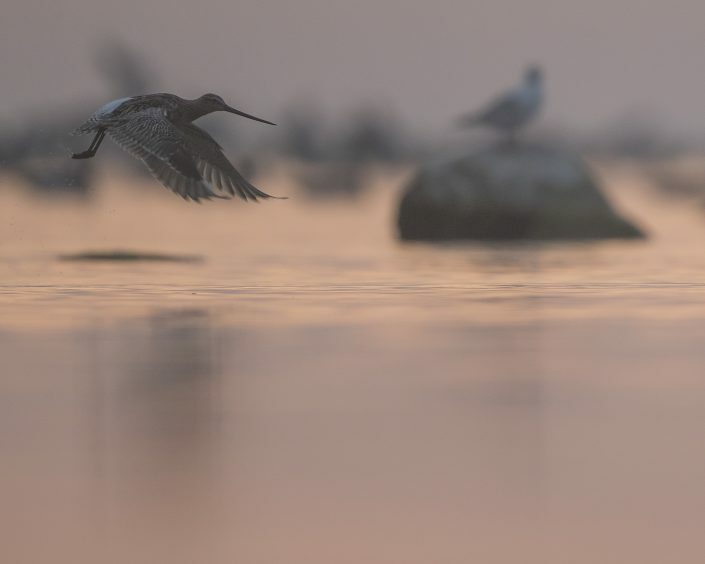 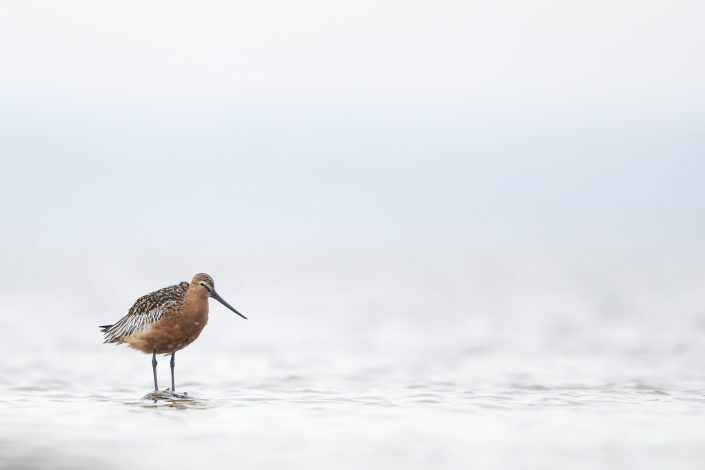 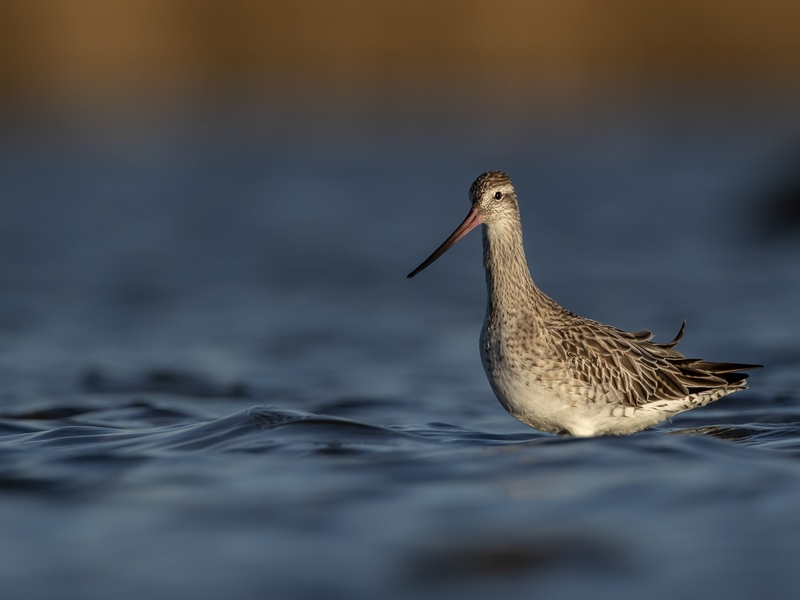 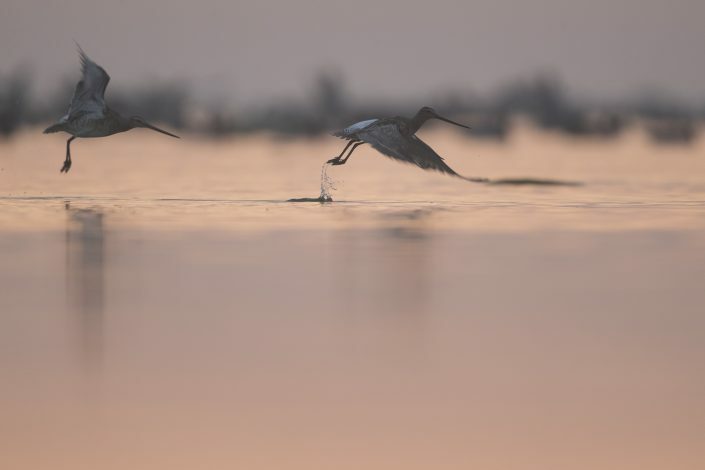 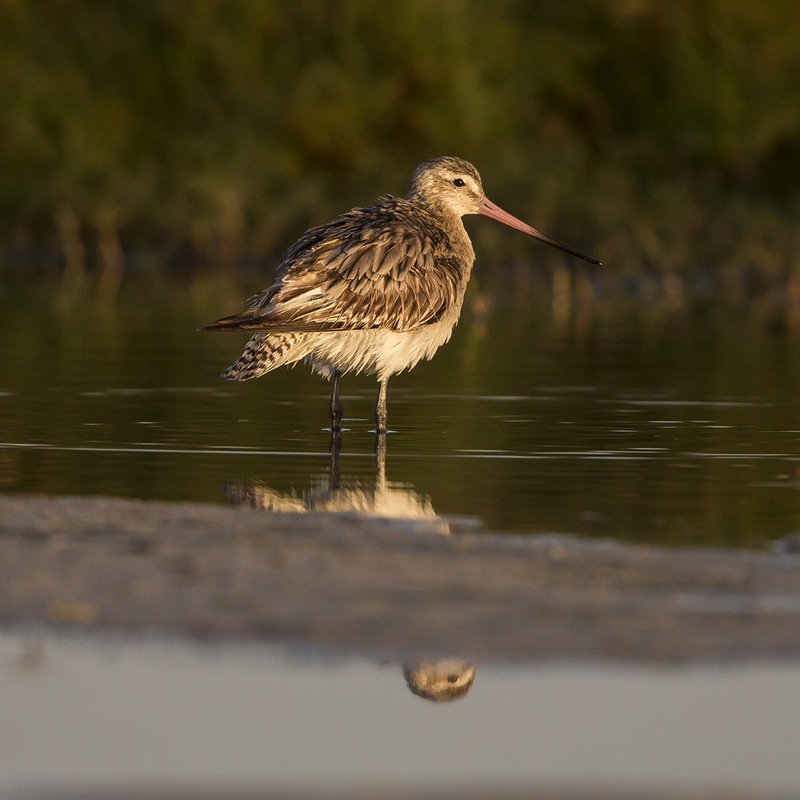 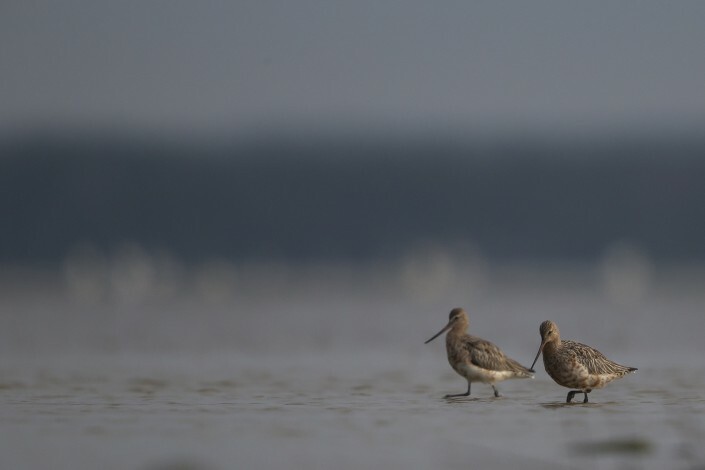 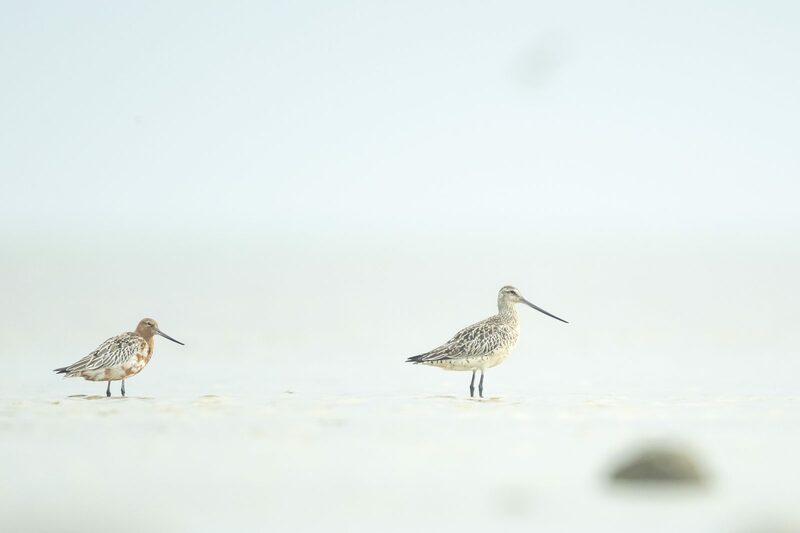 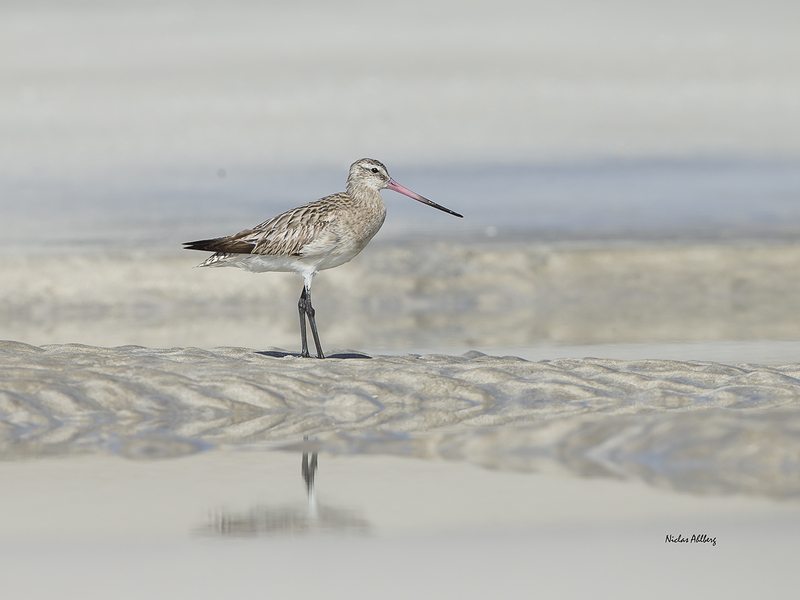 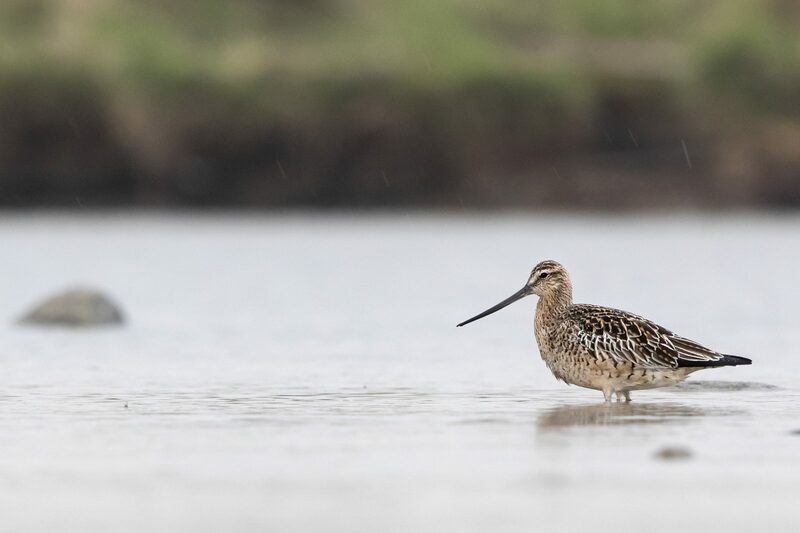 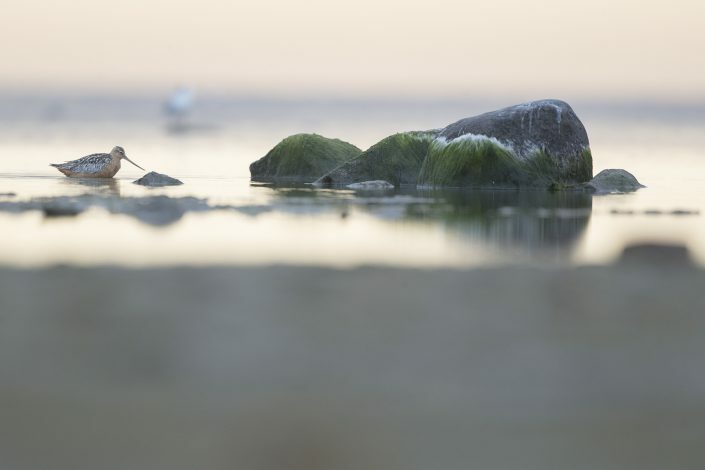 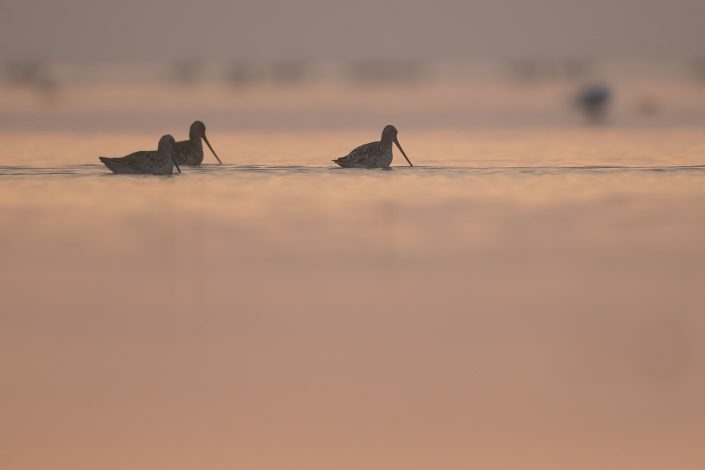 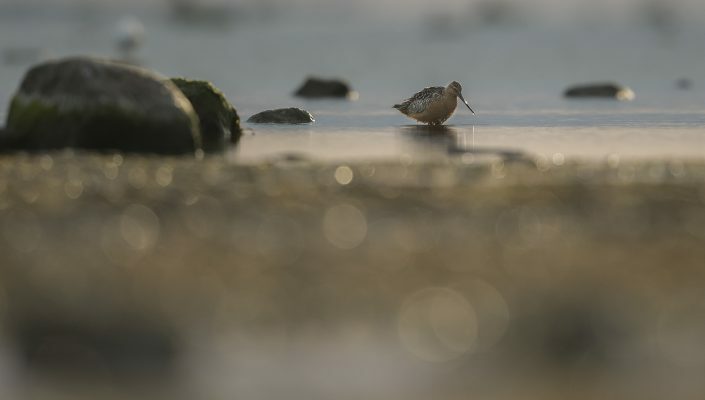 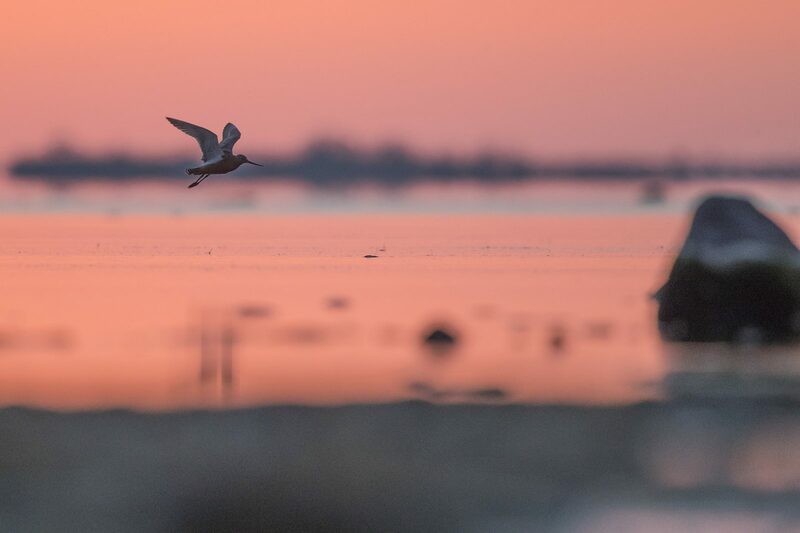 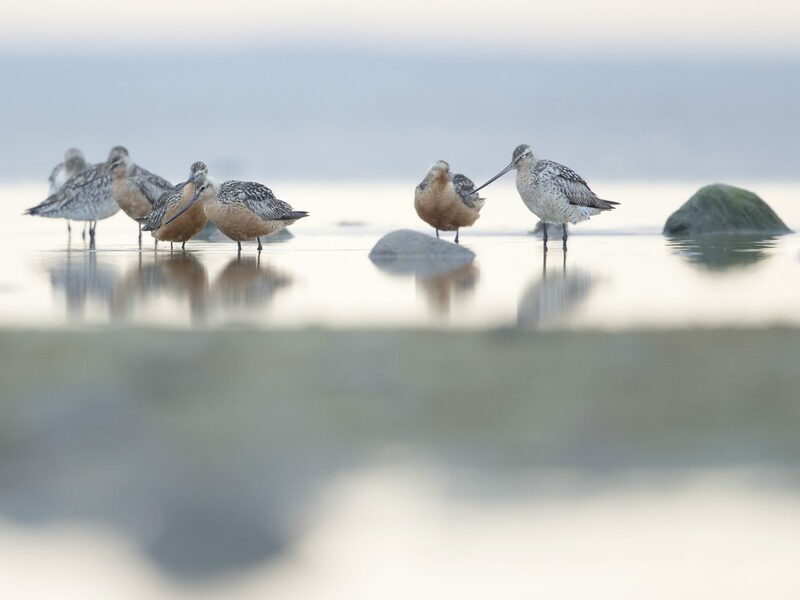 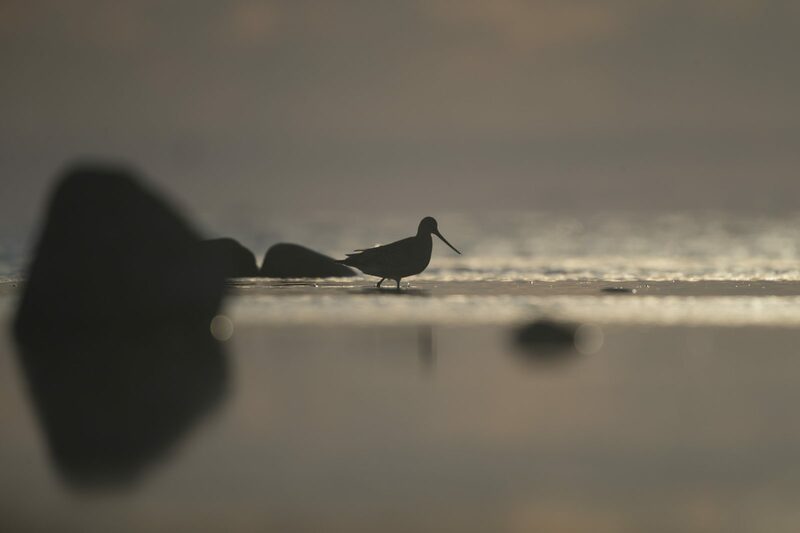 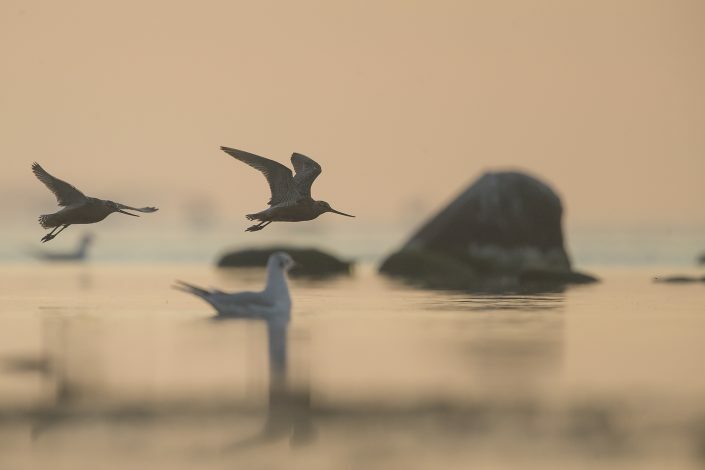 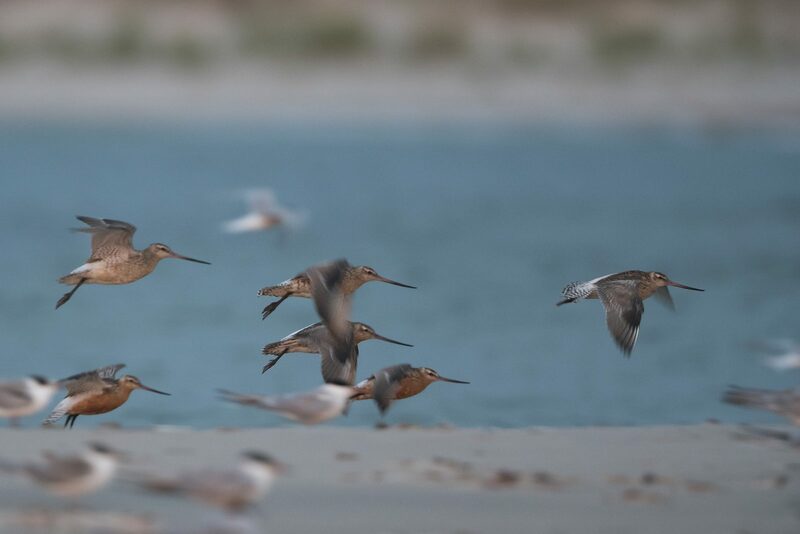 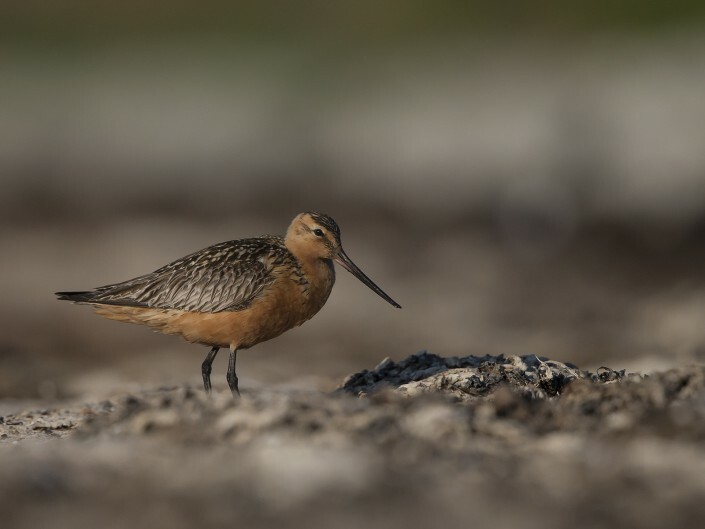 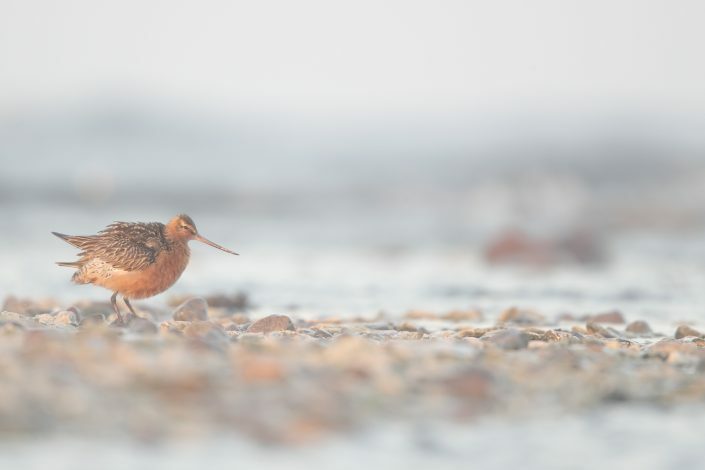 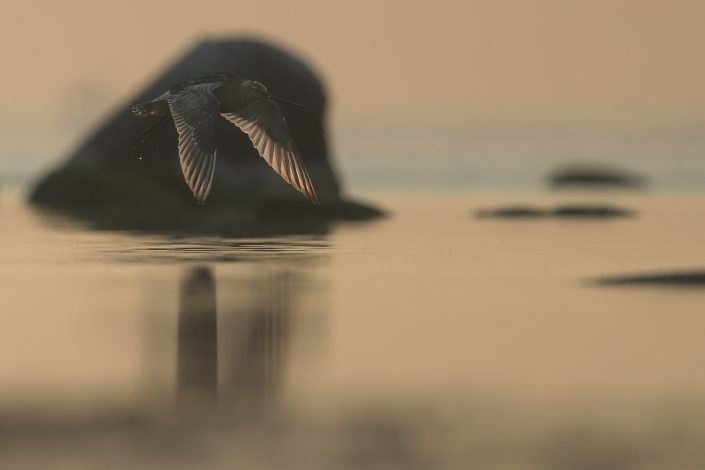 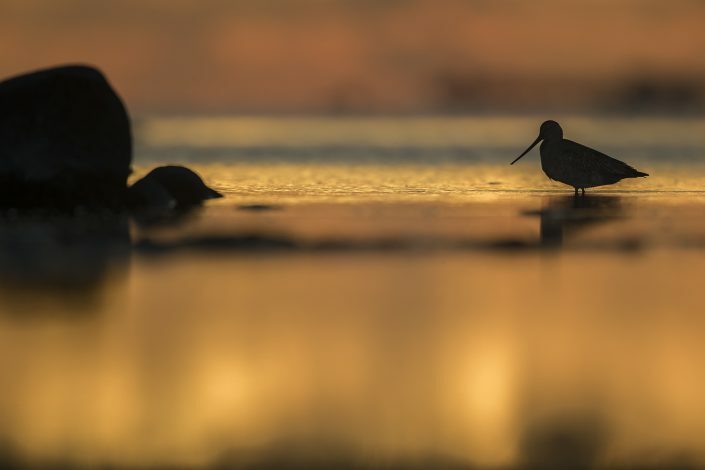 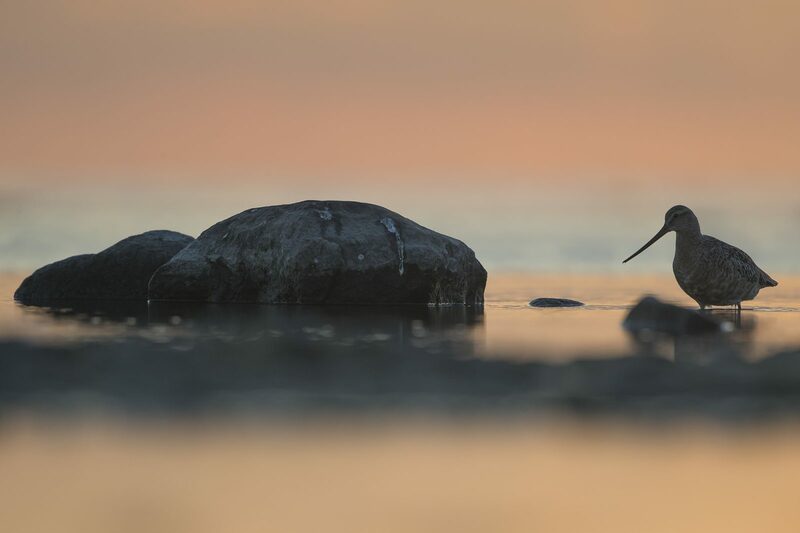 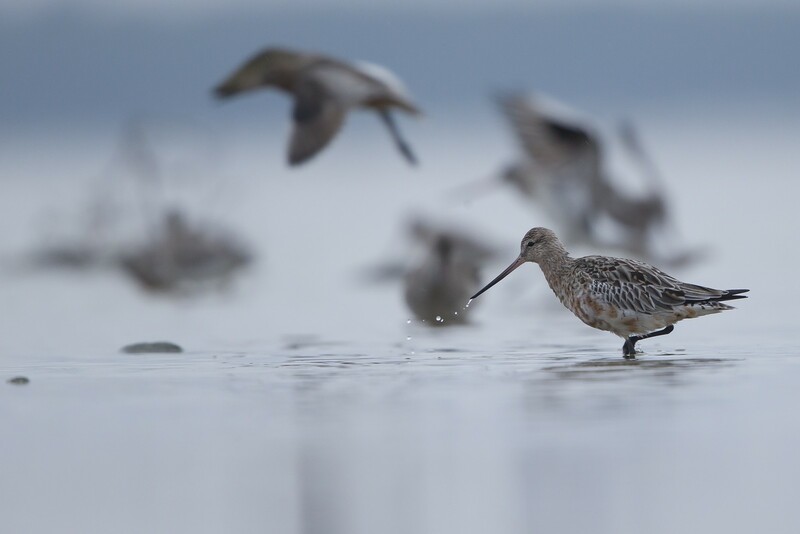 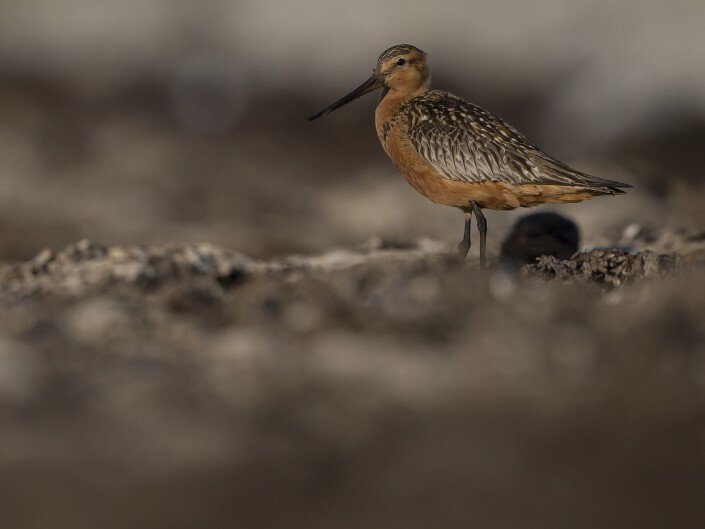 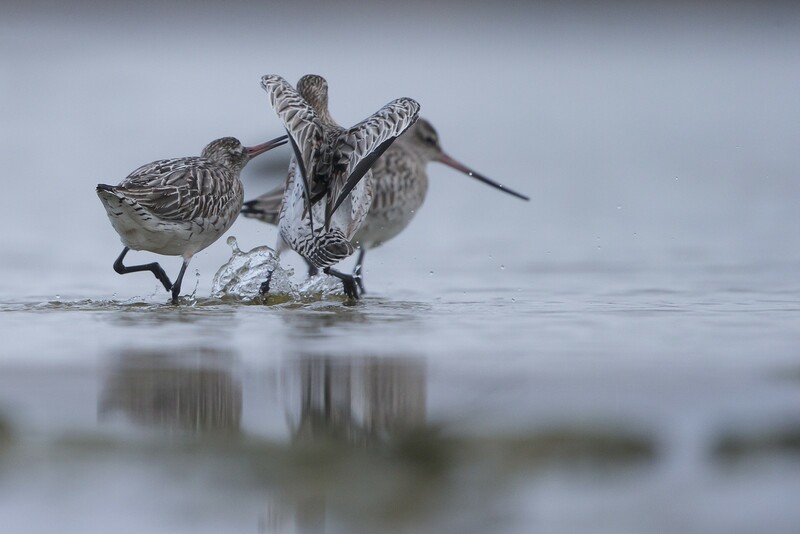 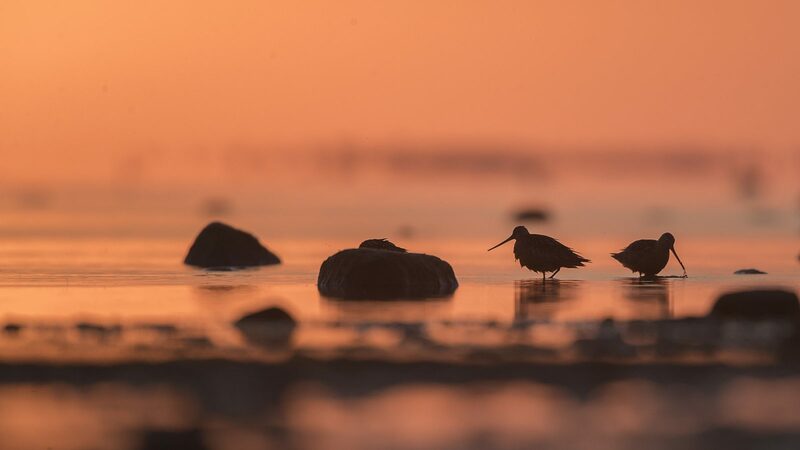 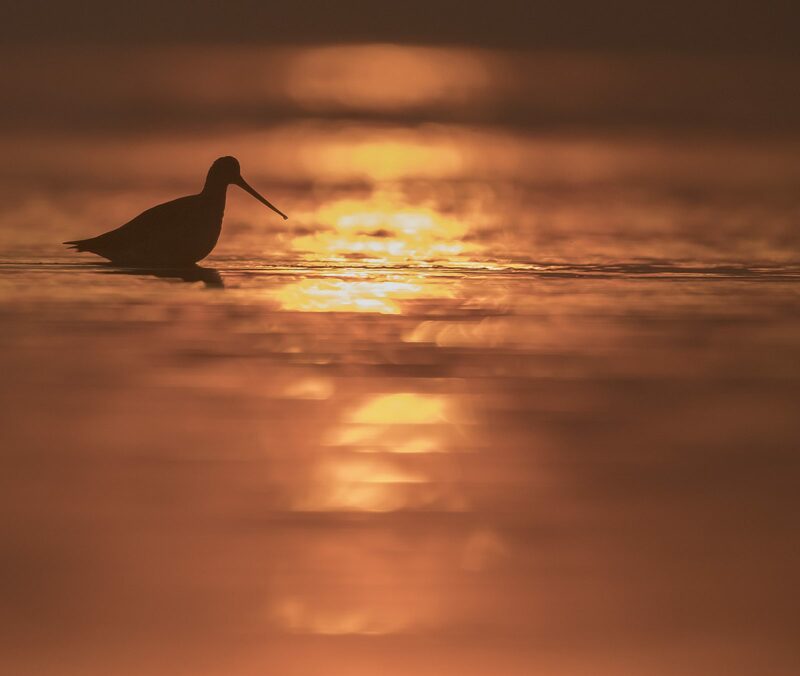 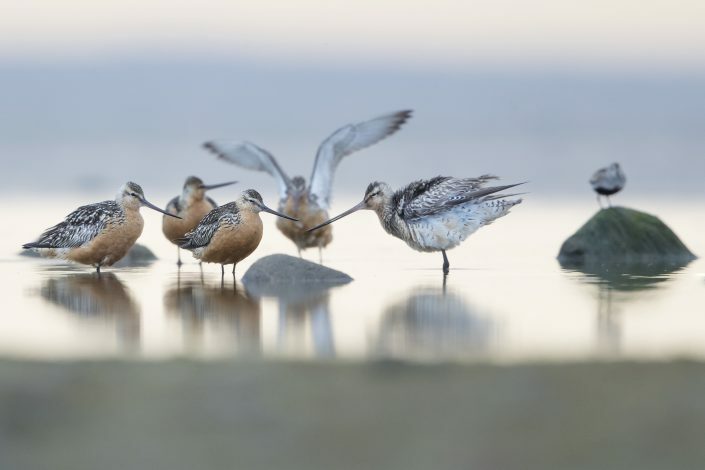 The bar-tailed godwit migrates in flocks to coastal East Asia, Alaska, Australia, Africa, northwestern Europe and New Zealand, where the sub-species Limosa lapponica baueri is called ‘Kūaka’ in Māori. 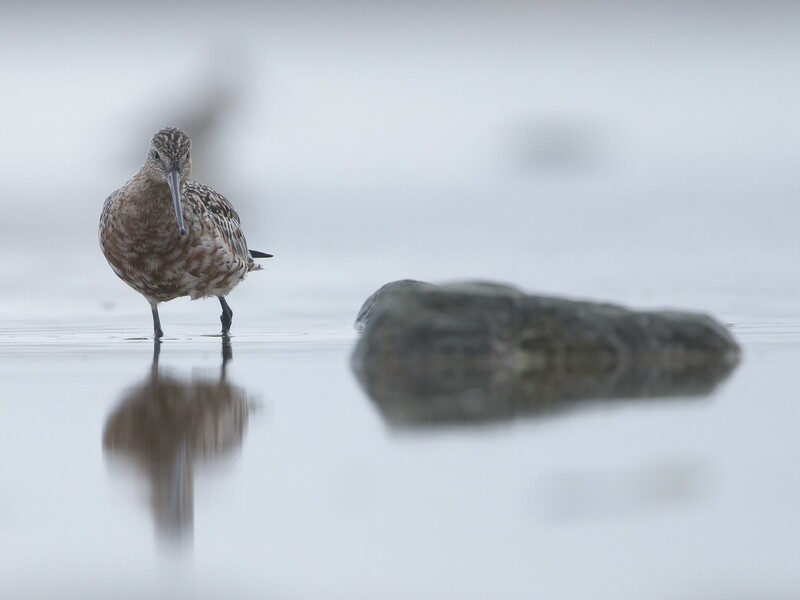 One specific female of the flock, nicknamed “E7”, flew onward from China to Alaska and stayed there for the breeding season. 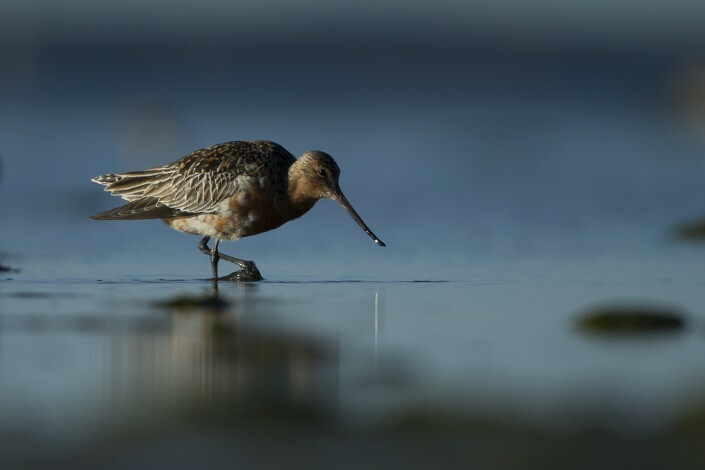 Then on 29 August 2007 she departed on a non-stop flight from the Avinof Peninsula in western Alaska to the Piako River near Thames, New Zealand, setting a new known flight record of 11,680 km (7,258 mi).